I think it was Churchill that described Russia as a “riddle wrapped in a mystery inside an enigma.” The idea was that in no way was it possible for Churchill to understand or justify the actions that he was witnessing. But, what about China? Things have changed a lot in the last 75 years, but I think it is appropriate to say that China is a riddle wrapped in a mystery inside an enigma with a gold and red bow. 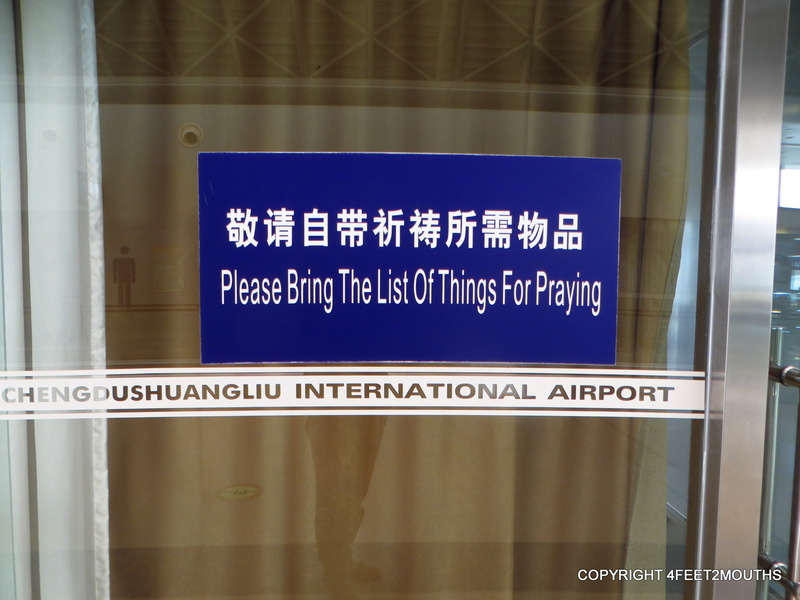 We were definitely challenged in our travels in China. 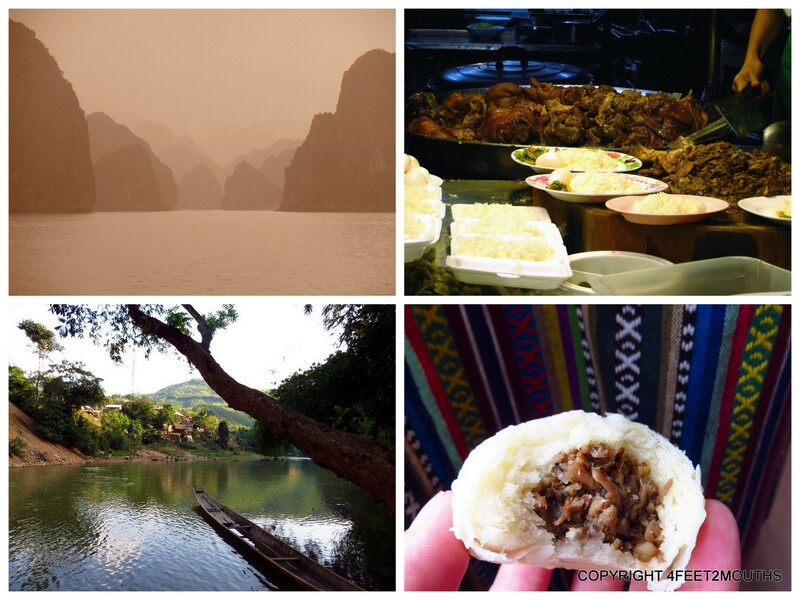 We spent TEN weeks exploring the country; we traveled in six provinces, we visited twenty cities and I feel that I have only grazed the surface of Chinese culture, the food and the landscapes. 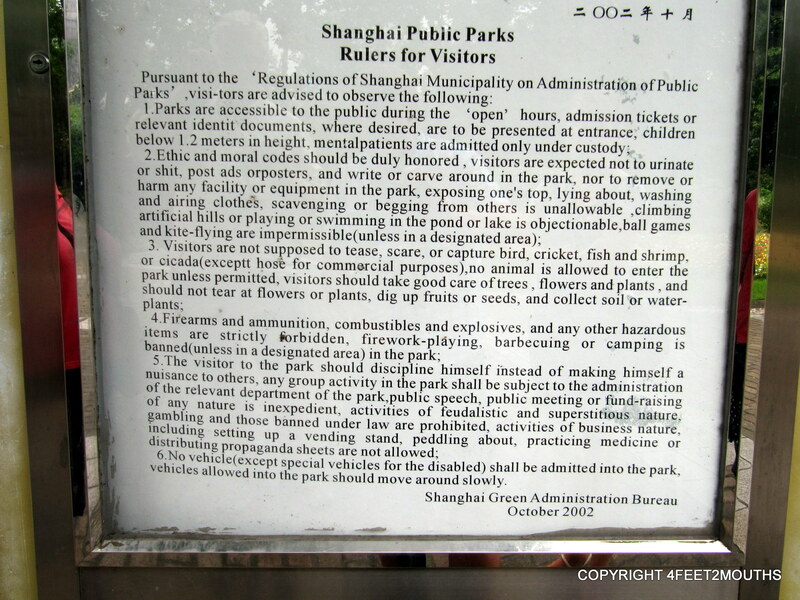 China is a country that is magnificent and confusing and it needed a summary of its own. We saw so many beautiful places and we ate very delicious food, but we also had cultural experiences that left us perplexed. 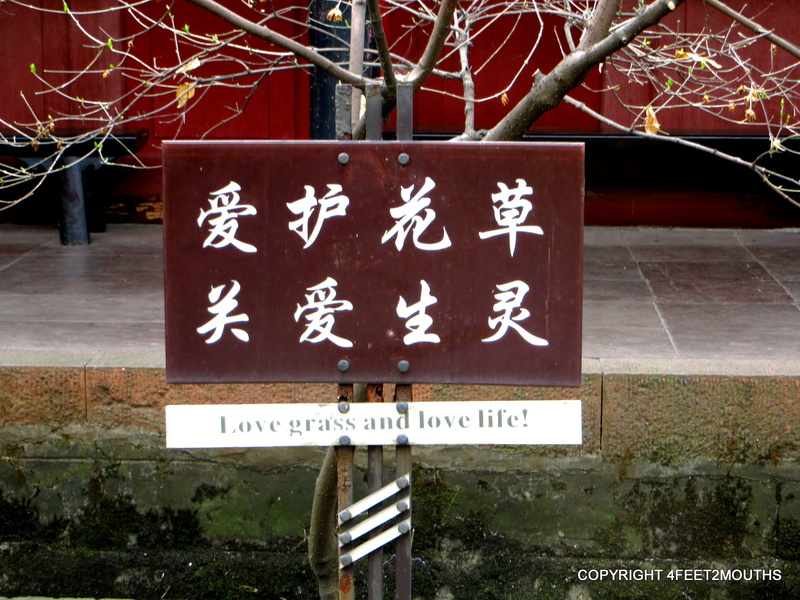 Occasionally we came across a few good “Chinese-isms” or chinglish that provided some smiles along the way. 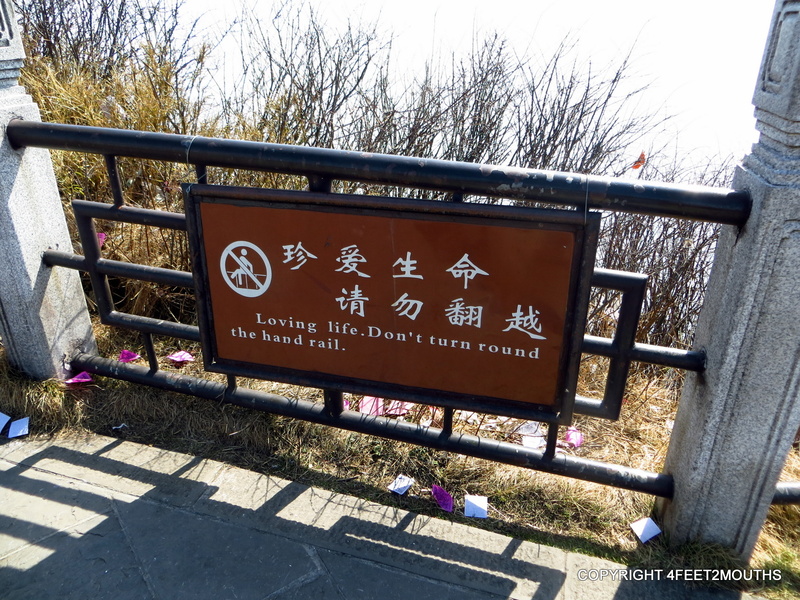 I’m posting pictures of some of the best ones as well as my random observations on food, transport, hygiene, speaking Mandarin, translations, censorship, materialism, staring and being a lao wei in China. Scroll down towards the end for a breakdown of our daily costs in the mainland and in Hong Kong. 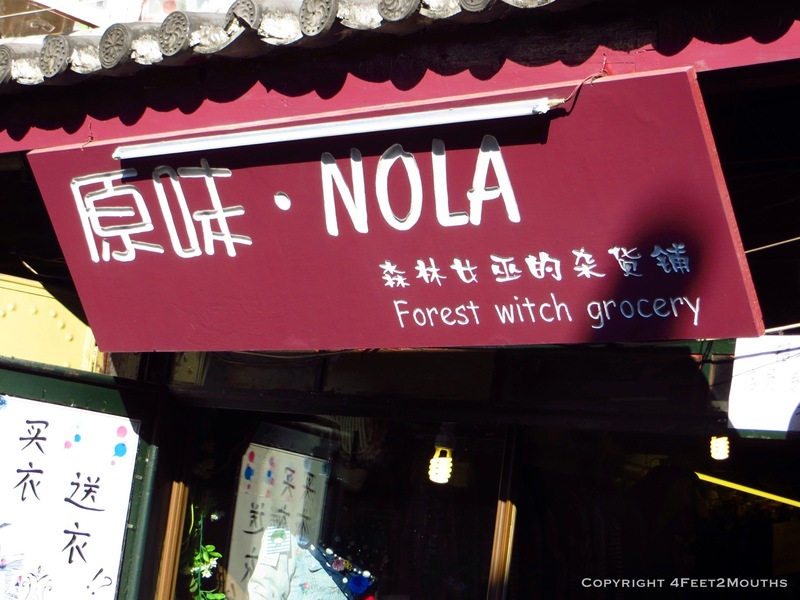 I think of Hansel and Gretel, only bewitched stuffed animals were sold inside. I love that the words “angle” and “Salisbury” were just added for fun. I think that China and I have one of those love/hate relationships. I think it is a beautiful country that is continuously complicated with all types of irony. I am completely fascinated and head over heels for Chinese food also all its varieties. From Yunnan, to Hunan or Sichuan, the most humble peasant shop owner can turn out dumplings and noodles that I still dream about. Few places on earth have food like China. 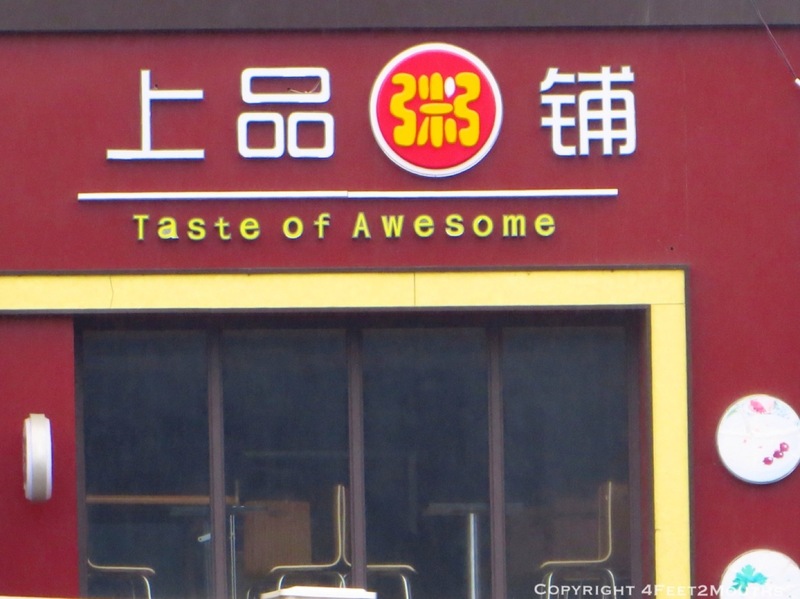 The Chinese definitely love their food too. 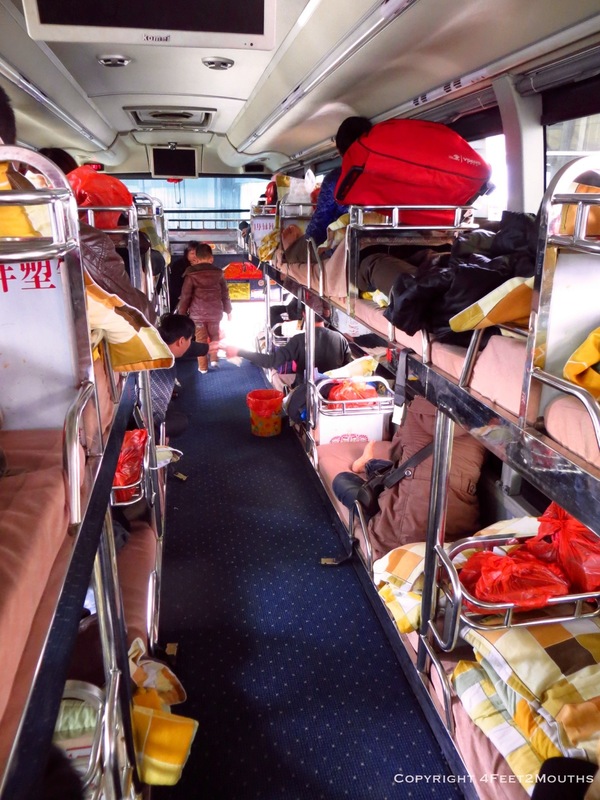 We took buses every day in China and for some reason it is a thing for older men to snort and pull up phlegm from their entire bodies then spit it on the floor of the moving bus. People didn’t just spit on the bus, of course, they spit everywhere. But it was when it occurred in enclosed spaces, like buses and restaurants, that it was particularly gag inducing. Seriously, wtf. Even the excellent and modern long distance trains were not safe. China has such an excellent rail network. I love the subtle sway and knocking of trains, even the tiny compartments provide a cozy comfort. We were sitting on a train and I watched a guy sneeze (it was close quarters); he of course did not cover his mouth or nose. With snot all over his face and shirt he turns to the train curtain to wipe himself off. It is a bewildering attitude towards hygiene when one sees people cleaning their chopsticks in hot tea before eating but not washing their hands, covering their sneezes and spitting everywhere. 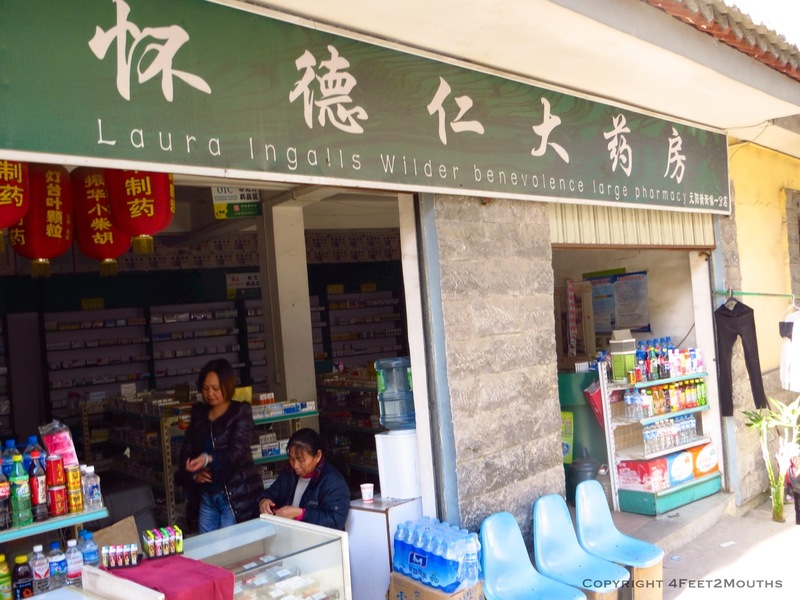 We rarely got sick in the rest of our travels but in China we consistently developed new colds. 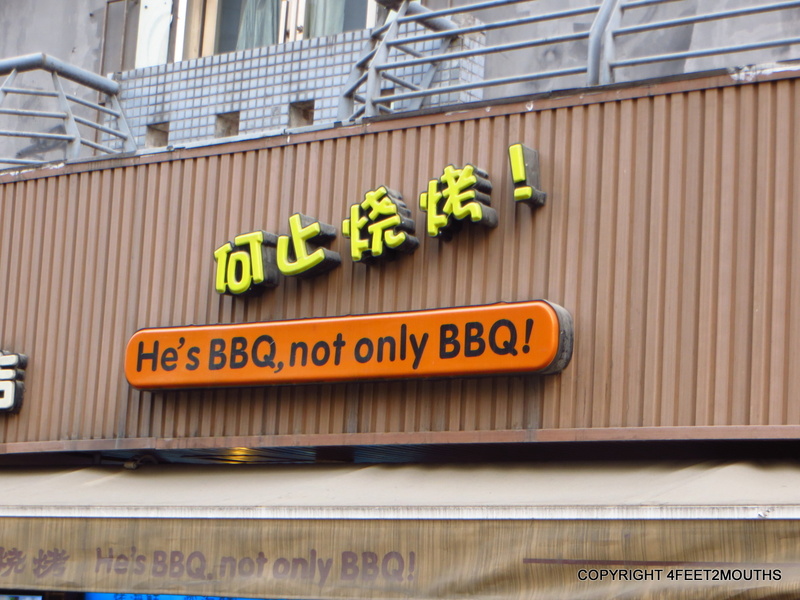 It’s a barbecue place with fries? There is no doubt that I struggled to speak mandarin in China. 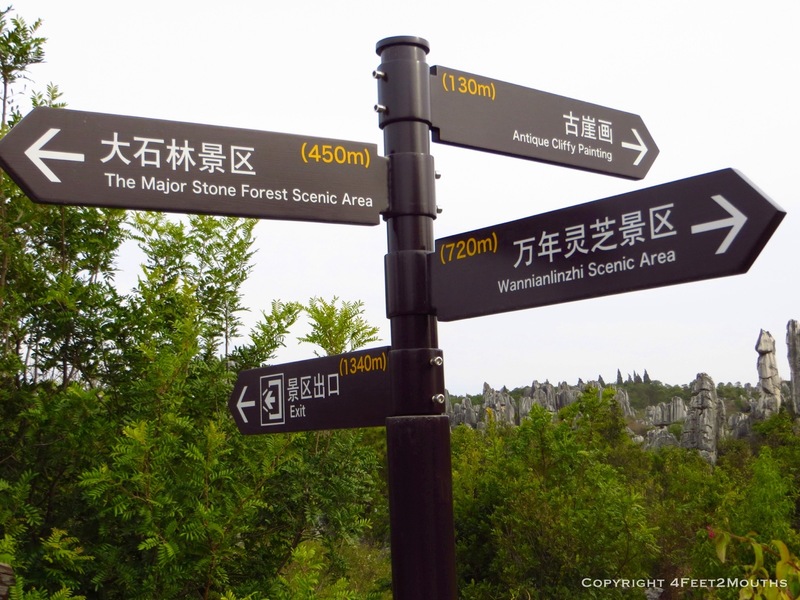 In fact, Carmen and I worked pretty hard to learn some key phrases of Putonghua, the dialect of Beijing, but we repeatedly found that the dialects throughout the country vary so diversely that we were lucky if we could get our duoshao chen (translation: how much is it?) understood by the people. We resorted to copious amounts of pointing and we found amusement in the translations that restaurants and shop owners found for their signs. The food better be good here! 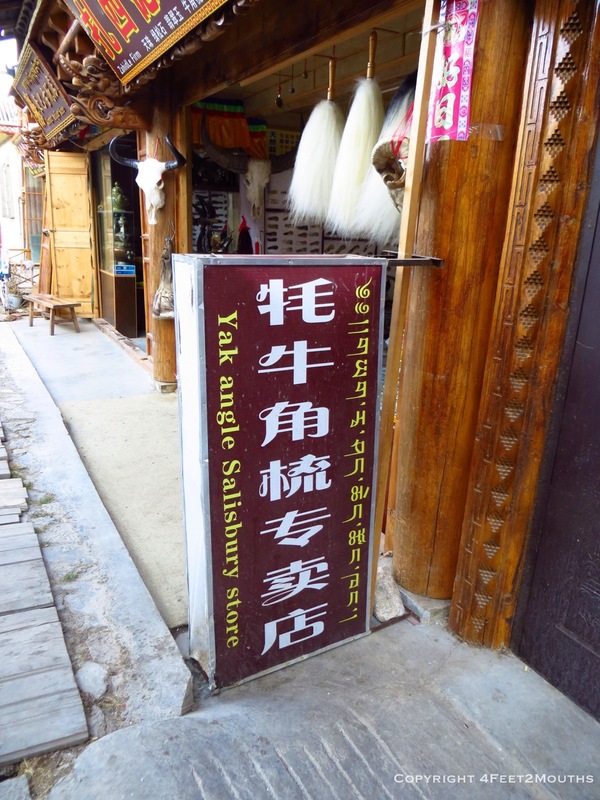 As it turns out there are thousands of business owners that have included English on their signs. Unfortunately this does not mean that they actually speak English, but more that they are hip to the fact that English looks pretty cool on a sign. So it is very doubtful that the pharmacy had anything actually to do with a “little house on the prairie,” or that there was a “yellow brick road” leading to a flower shop. 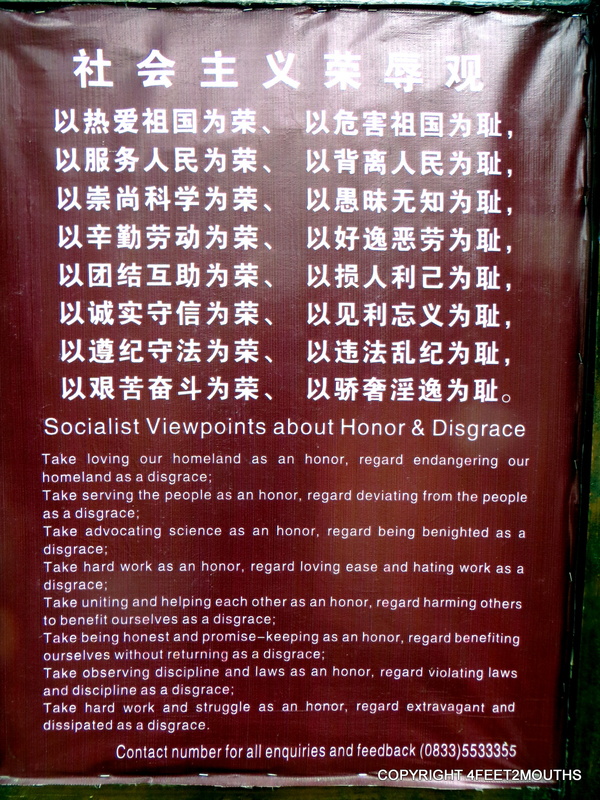 Honor and disgrace in China, do people really regard their actions as following this? One idea that China challenged me to think about was: what is truth? Is something true because we are told by a higher authority it is true, or that major news sources report it, or is it because people around us believe it to be correct? In China, everything was censored, we could not access our blog, Facebook, YouTube, NY Times or BBC as they were all blocked and the only news released in the country is approved by the government. I was surprised to learn that mainland Chinese people still think that Taiwan is part of China. There is no concept that Taiwan votes for a president or survives as an independent country. 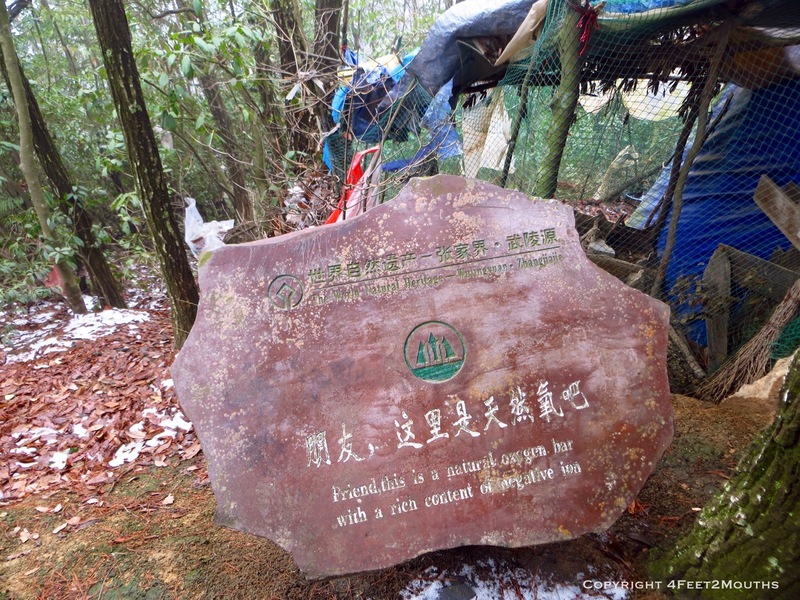 Within China they are told Taiwan is another province of China. And thus we found subtleties in newsprint and billboards that, to us, feel like major distortions from the news we know, but to others are this is the truth. I encourage you to read it for yourself, Google China Daily and read a bit; it’s English with a clear pro-China bias. I think it is the hush-hush cover-ups that bother me- the tens of thousands killed in the Sichuan earthquake but the paper says that there was no damage in Chengdu, which is highly doubtful. 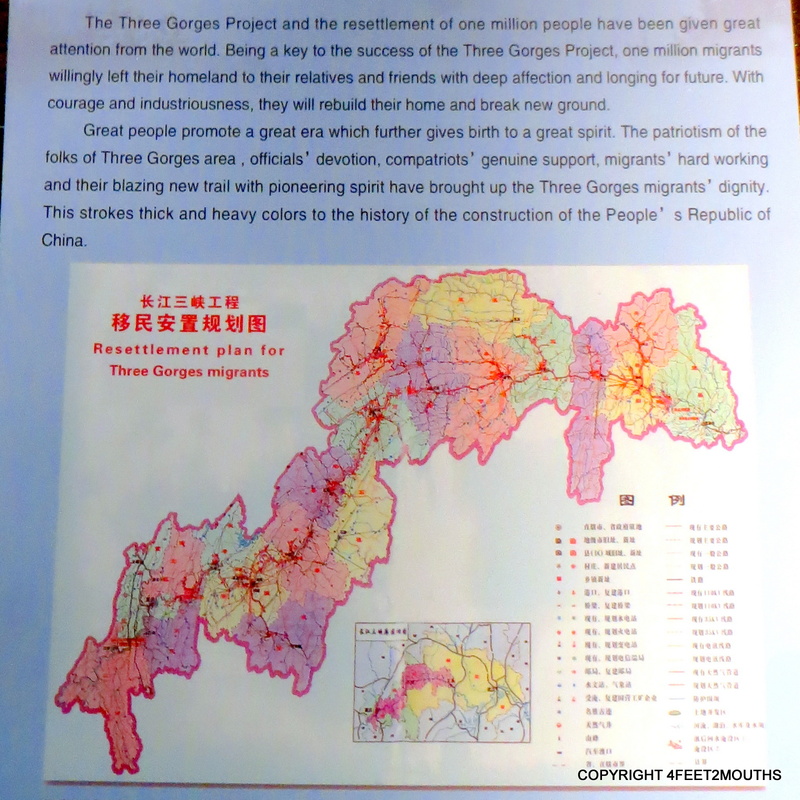 Another example was about the three gorges project. We found a nice little description in a museum describing the excitement of villagers to leave their homeland. Since when is eminent domain a happy experience? Friend this oxygen bar! Why is there a mound of trash then? I was lost in the national park and this is the map I found. Another thought: what is high quality? China has mastered reproduction and manufacturing, but at the cost of creation. As long as it “looks” like a person has an iPhone or a Louis Vuitton bag, a person must be high-class. There is so much effort in copying everything else in the world that there appears to be a serious loss in modern creativity. Appearances are everything, which means that clothing and in particular shoes are very important; it does not matter if they are fake or fake leather or that they even last more than a few weeks. What matters is the tag and how they look now. During our travels we would encounter other Chinese tourists or locals that would stare at our faces, then our shoes and then analyze our entire clothing. I think their thoughts were “you are white, why aren’t you rich.” Our clothes after seven months of travel were not at their best, but this obsession with material glamour is something that I have never understood. Carmen and I were the object of constant staring in China. Yes, I have blond hair and yes, we were sometimes visiting places that few westerners visit. But the challenge in China was not that there were a few glances here and there; it was that whole families would stare at us forever. Imagine being on a bus and every time you turn your head to look along the aisle of the bus there were ten people hard-nose scrutinizing everything about us. Yes, they were curious; fine I get that, but it never came across as amiable (like it did in India) and it still made me a tad uncomfortable, even after fifty days of it. It is a subtle euphemism, and again no jumping off the cliff. It came a sharp reality to me, that in China I can only ever be a lao wei. I want to be judged by my merits rather than my outward appearance. This is an ideal Americans hold dear in theory, if not always in practice. But no matter what I do in China, even if I lived there for the rest of my life, I will always have the label of foreigner plastered across my forehead and would be judged first and foremost by this fact. So true… suburban lawn owners and golfers unite! 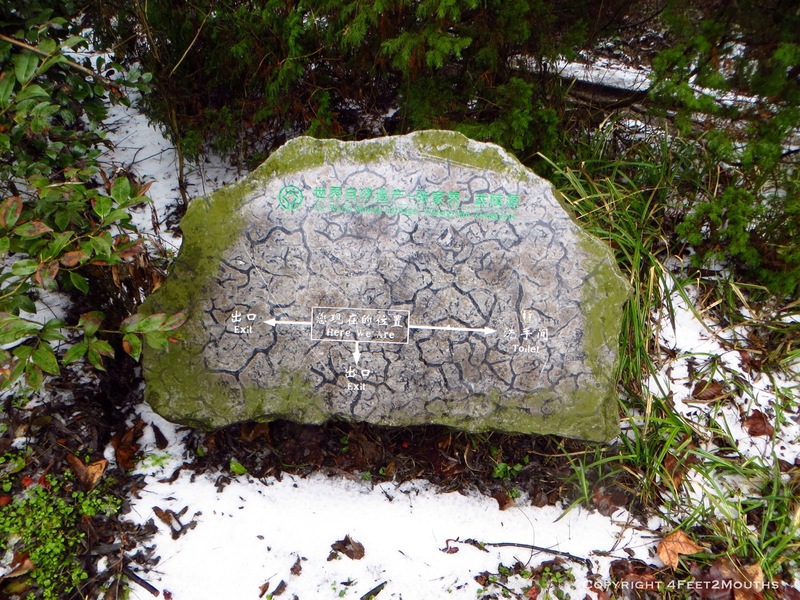 One of those interpretive signs that means well and says nothing. 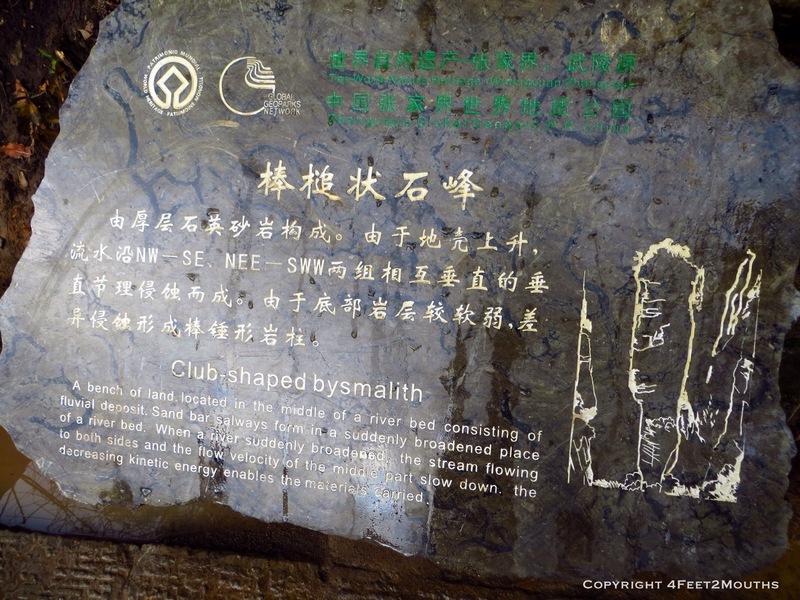 Erosion caused the club shape, duh. All that, and I will still travel in China again, I would even live there! (Carmen is not so sure about that last part.) It is the challenge and the beauty of it that will always draw me back. 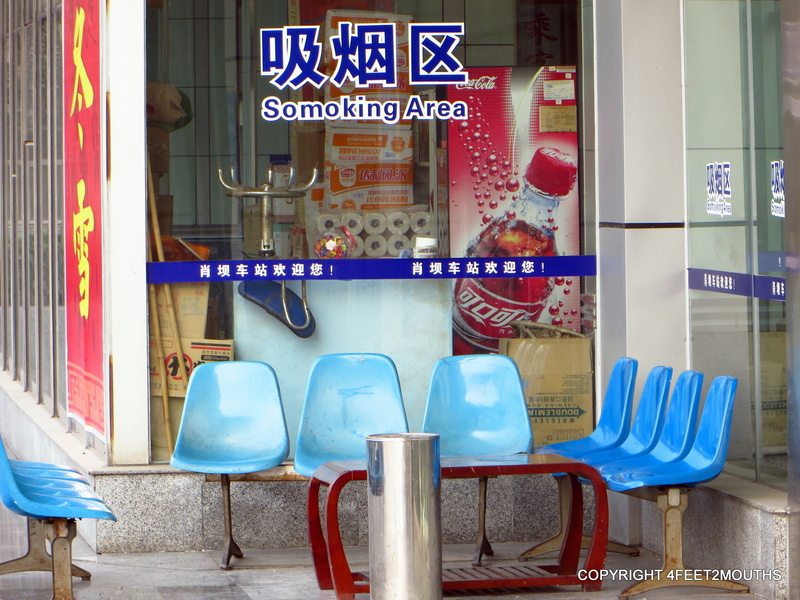 There are countless wonderful things about China that far outweigh the spitting and awkward stares. The infrastructure in China is fantastic. We took a six hour bus ride that went through over fifty tunnels and bridges! The metro systems are all new, easy to use and cheap. I look at San Francisco trying to make a designated bus lane on Geary Blvd and it is painful, but China would have 5 underground metro lines by now! The natural landscapes are phenomenal, China is growing at a rapid pace, but suburbs in the Western sense are rare; this means that all one billion people are pretty centralized. This leaves beautiful canyons, forest and landscapes ready for us to explore. The food, I can’t write about it enough, but it is really that good. China has five thousand years of history and the last fifty years is a minor blip in a long history of culture and tradition. There is so much to explore and enjoy; we have only seen a fraction of it. Carmen and I are scrupulous in understanding travel and what it takes to survive a life as a tourist. 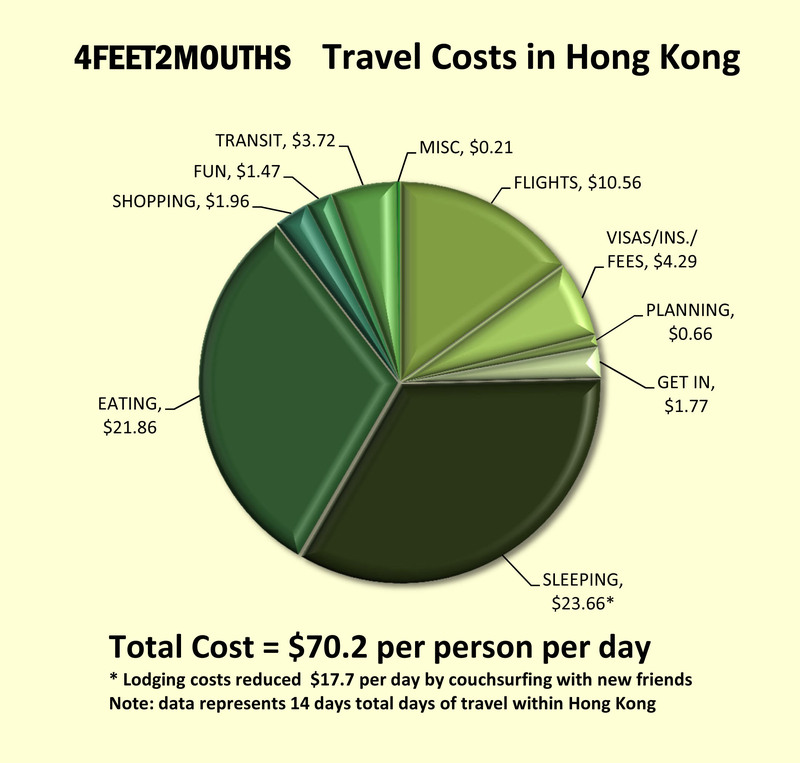 Thus I performed a little financial analysis for everyone to learn about what the costs are associated with traveling in true 4FEET2MOUTHS style. The costs of flights, country visas, travel insurance, bank fees and initial planning costs have been smeared into the whole trip and cost about $15.50 per person per day. That means it costs only $31.73 to bounce between cities, eat enormous quantities of food and sleep in clean, but small double rooms. We have an expense that we call “get in” which is the transportation costs moving from one city to another by train or regional bus. Thus, 50% of our total budget in China is getting to the city we want to see. Furthermore sleeping, eating, shopping and fun make up the rest. Entertainment or “fun” to us is any park entrance fee, bars or desserts on their own. Park entrances are exorbitant; we spent over $400 in entrance fees. Be ready to shell it out in Zhongdian, Yuanyang, Zhangjiajie, Leshan, Emeishan and every other beautiful place China has. 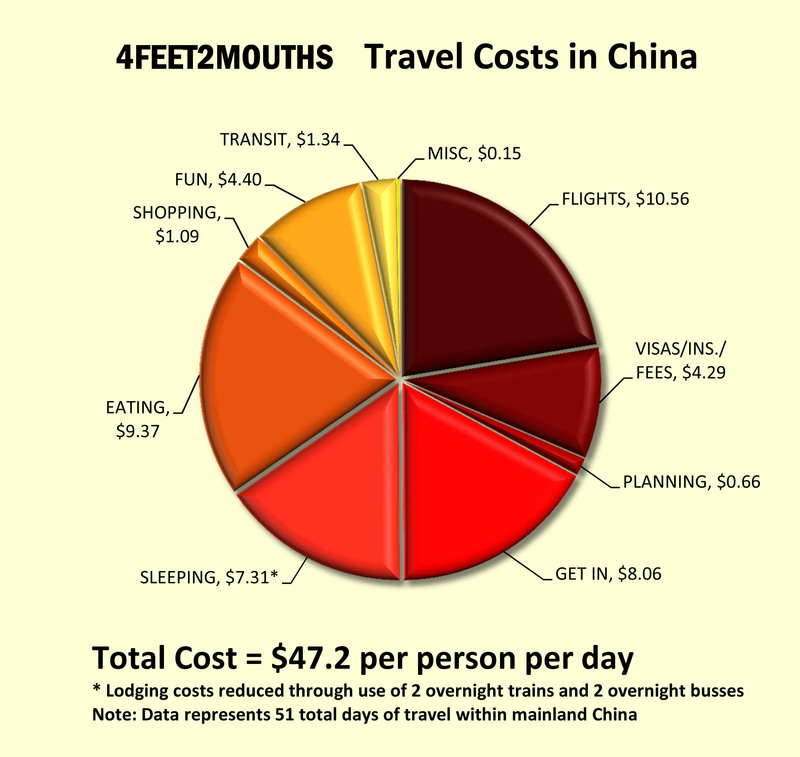 It is a nice pie chart, as a couple it costs us only $94 to travel each day in China. 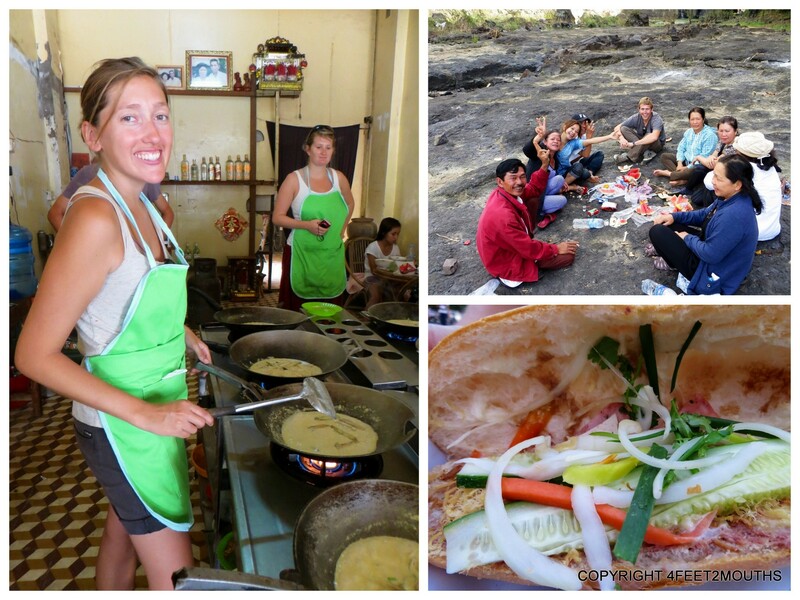 Who can say they travel for under $100 per day ($50 per person)? We have created one of these charts for every country and we will be sharing them with you over the next few weeks. Is this HK bus a submarine too! In some amazing way, Hong Kong is different, the same and unique all at once. Hong Kong has all the great modernity of infrastructure: buses, metros and bridges with people that are kind and patient to wait in lines. The food is fabulous and the language is equally difficult to understand. 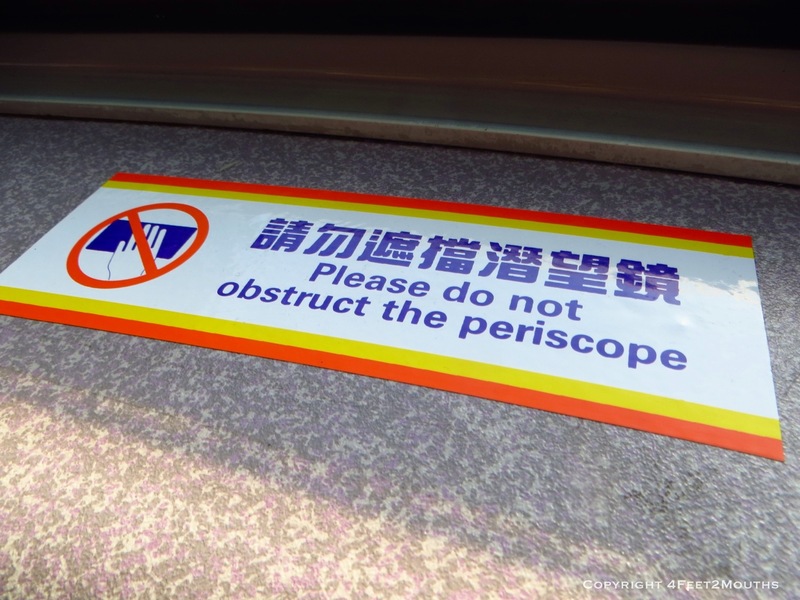 I particularly like that the double decker buses have a real periscope. No one spits in Hong Kong, no hacks interrupt ones dining and restrooms have actually been cleaned! We visited Hong Kong for two weeks this trip and it came as a welcome relief after several weeks of struggling though China. All the glamour and glitz that is Hong Kong comes at a price. 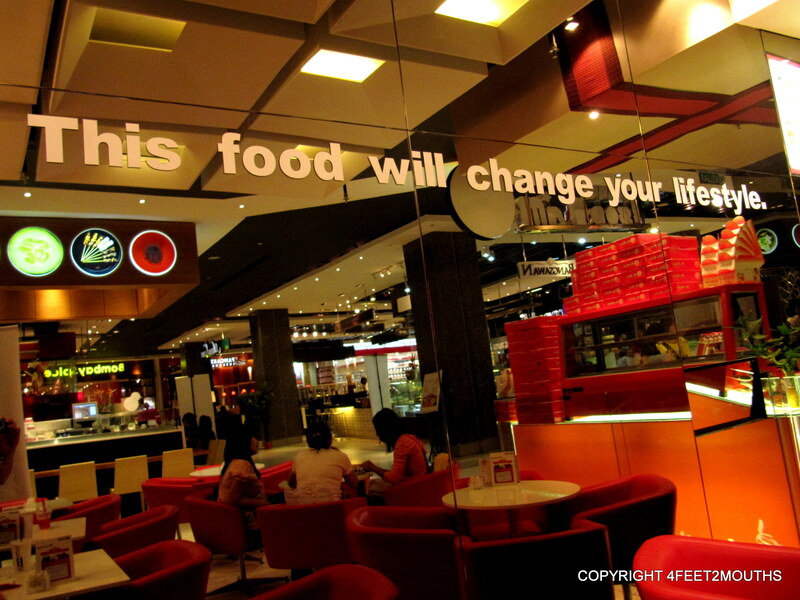 Most specifically, hotels are expensive and there are nicer restaurants fulfill every foodie’s appetite. Hong Kong is well worth visiting, but the total costs are $70 per person per day or $140 per couple per day. Thus, as you can see eating in Hong Kong is twice as expensive as in China. Lodging is a whole other system in Hong Kong; the rooms are smaller, cleaner and definitely nicer quality. 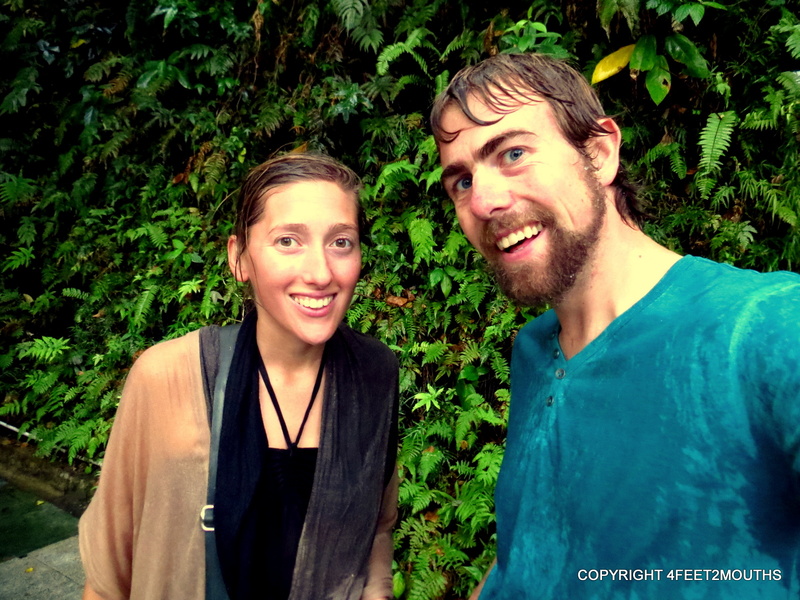 We resorted to couchsurfing six out of the 14 nights which saved us $250 ($17/day). Hong Kong is worth it and much more. China and Hong Kong are inherently linked. In 1997 China regained control of Hong Kong as the colonial ties ended. There is a fifty year grace period as China figures out what to do with Hong Kong’s free speech, capitalism and voting. This essentially means that all the advancement and human sensitivity that Hong Kong embraces is at risk of being swallowed by the behemoth of Chinese mainland culture. I love both China and Hong Kong, but I like them different, two flavors that shouldn’t be mixed too much. I encourage everyone to visit, explore and integrate themselves into China and Hong Kong, it is a complicated but phenomenal experience. Many of my memories have to do with food because I don’t eat to live, I live to eat. 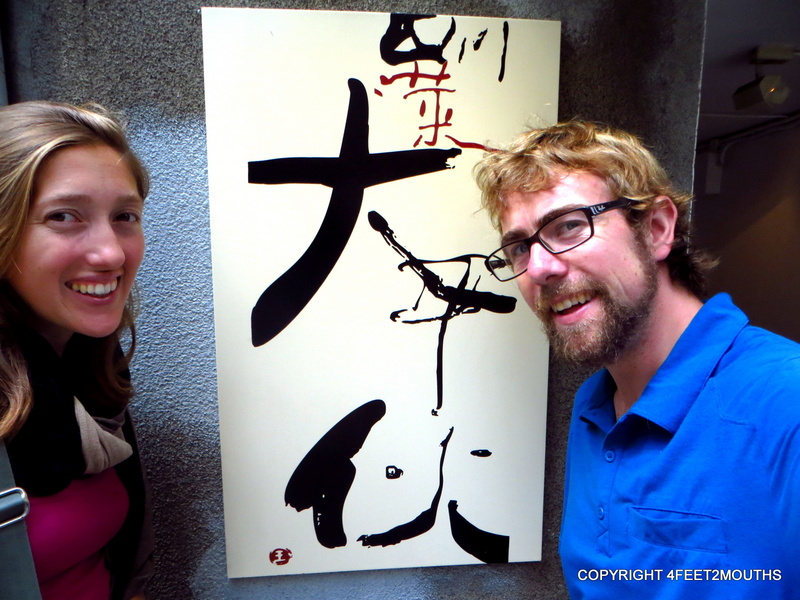 Throughout our travels I was struck by how much difference it made to eat a cuisine in the place it had originated. And it’s not just because things taste fresher. It is a about the environment and the people too. Take dosa for example. I had eaten dosa, the Indian roll stuffed with potatoes and veggies and served with daal and chutney dipping sauces, in Berkeley. 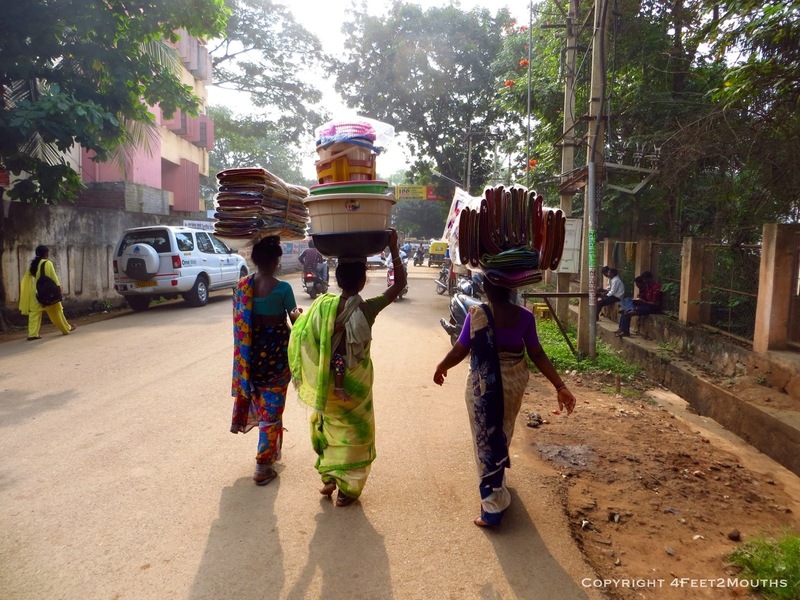 But it wasn’t until I was in India – eating my dosa at breakfast on a metal plate with a metal cup of chai tea, breathing in the thick humid air, watching other groups chatting happily in their sing song accent – that I really got it. Dosa is filling but not heavy. Basically, it is a damn good way to start the day. In each country, I learned more about foods that I thought I had known with the result being that I now have a greater appreciation for these cuisines. And we went a lot of places. Over the past 14 months I have ridden high speed trains, a 27 hour sleeper bus, overnight ferries, small vans overburdened with 22 people, and what I like to call the rickshaw roller coaster. Powered by my own two feet I weaved through traffic packed streets on a bicycle and walked 500 mile across Spain. My career is in transportation and I can’t help but feel that these experiences brought greater insight to my work. To remember all these places, experiences and transport modes gives me an immense sense of gratitude. I know how fortunate I am for the health and resources to do this trip. As a woman, I’m also grateful for the fact that I was born in the West. Sexism is alive and well in the USA but I’m happy we got past the women as second class citizens thing. Not so in many other parts of the world. It was annoying to see groups of men and women working in China because often the men were sitting around while the women were shoveling or raking or doing whatever job had to be done. Of course in Turkey there is gender separation as a result of religious norms, though as a tourist I personally did not feel any discrimination. The country we visited where I felt it most was India. The culture is positively obsessed with gender and the idea that men absolutely can’t control themselves in the presence of a woman. Women must cover, must hide away, must have their own train car in order to not be groped. It wasn’t until I arrived in Thailand just after India that I realized how oppressing it all was. I could finally wear a tank top to deal with the heat and nobody looked twice! There were more women walking the sidewalks, women riding scooters, women sitting next to the men they didn’t know on transit (gasp!) and life went on. I do hope that India finds a better balance of equality in the years that come. Given my tales of culture shock and exhausting bus rides, it’s no wonder people often ask if I’m tired of travel. I think I surprise them when I say not really. If someone offered me a ticket to Italy leaving tomorrow, I wouldn’t hesitate to pack my bags. That said, I am excited to resume some of my hobbies that I haven’t been able to do because of my travels. Cooking and having my own kitchen is a big one. I’m looking forward to have those lazy Sundays when I get to dedicate my day to making a delicious bolognaise. 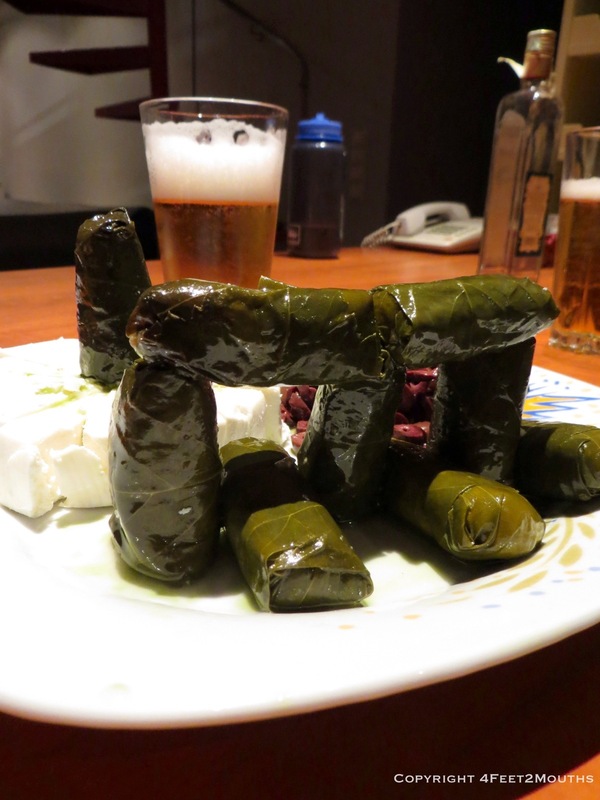 Also, learning about some many cultural histories has me thinking about my own familial one. I’ve always wanted to make a family tree and now I’m more inspired than ever. Therefore, we are now in the process of settling down. At least for a short while. The big question is where. Part of the impetus of this trip was an was a desire to move from the San Francisco area, where we had spent nearly 10 years. We are looking for a new place to call home. Our main desire is a big city that supports our lifestyle of exploring by foot and eating good food. Will it be New York? London? Hong Kong? I wish I knew! But the main determinant will be where we can land jobs. In the immediate future, there is our wedding to plan which is both exciting and anxiety-inducing. Meanwhile, we will be posting on some of our local travels to see friends and family as well as advice on how to plan your own trip. 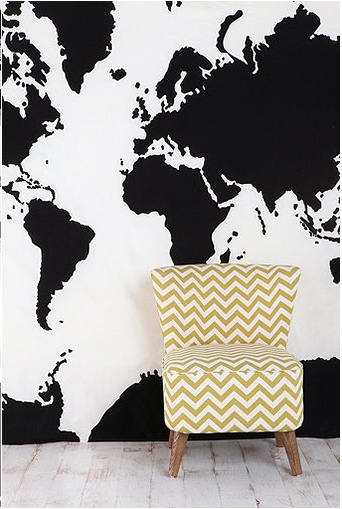 But just because we are staying in one place doesn’t mean I can’t already plan my future travel adventures. Taking a year off just opens your eyes to more places to visit and explore. It’s time for us to put down some roots and have a bit more routine in our life. But wherever we end up one thing is for sure. A map will be posted on the wall. Pins will be pushed in to the countries we’ve been to, the ones we need to go back to, and the ones we’ve yet to explore. It will serve as a reminder of fortunate we are to have seen all that have as well as an indicator that the next adventure just around the corner. But this is not the end! Stay tuned for Nathan’s thoughts on the trip coming up next. The final hoorah to our around-the-world trip was here. As I described in the previous post, Hong Kong has everything we love about travel. 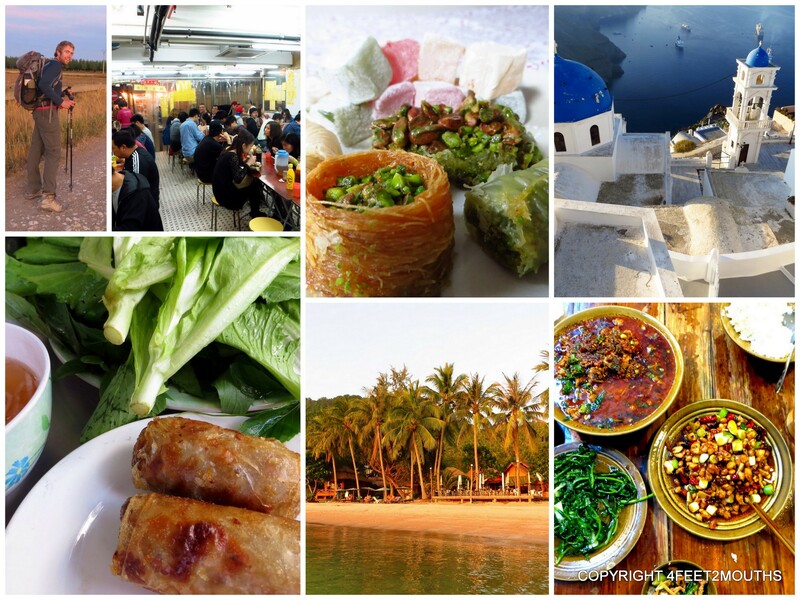 There is fantastic public transit, jaw-dropping sights and mouth-drooling foods. So much so that one post couldn’t handle it all. Here is continuation of the days we spent exploring the ins and outs of the city and the surrounding mountains. 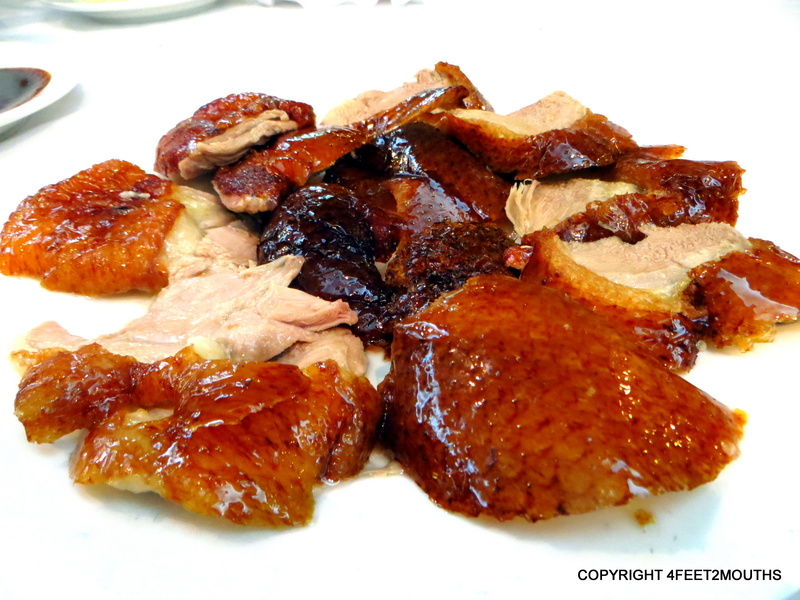 There are numerous excellent restaurants in Hong Kong. And many of these have Michelin stars. 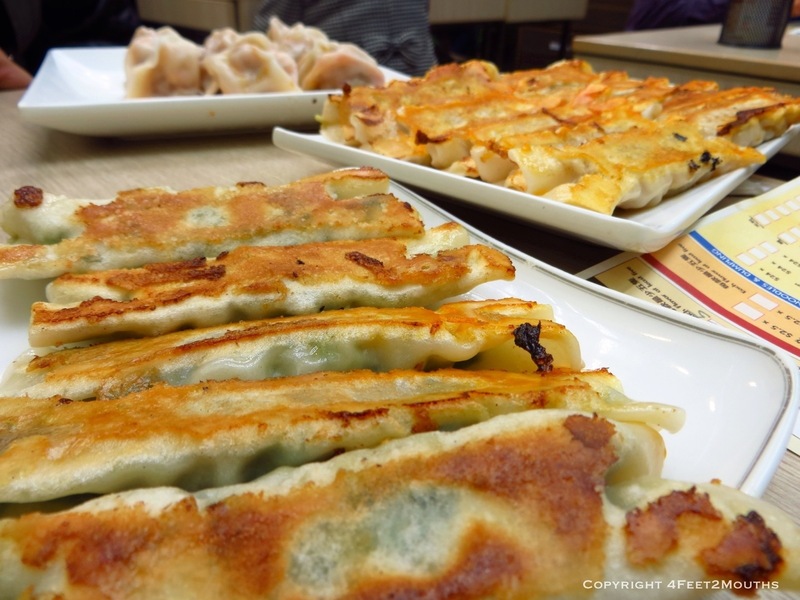 Since we are traveling on a budget we like to focus on value and Din Tai Fung is one of those amazing places that has fairly inexpensive and high-caliber food. It was tucked into a mall but the service was top notch even down to the explanation card describing the proper consumption of a soup dumpling. 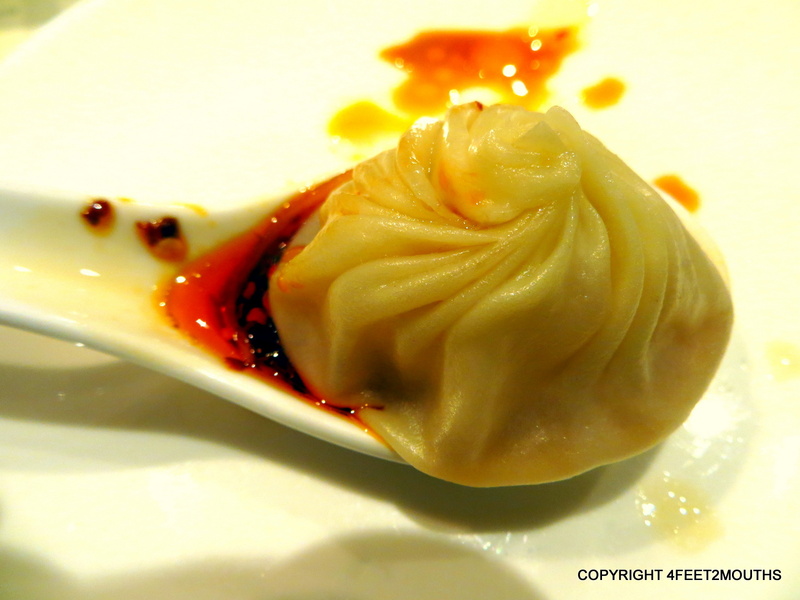 We dipped the xiao long bao dumplings in black vinegar and chili oil and slurped the soup contents through the paper thin skin. 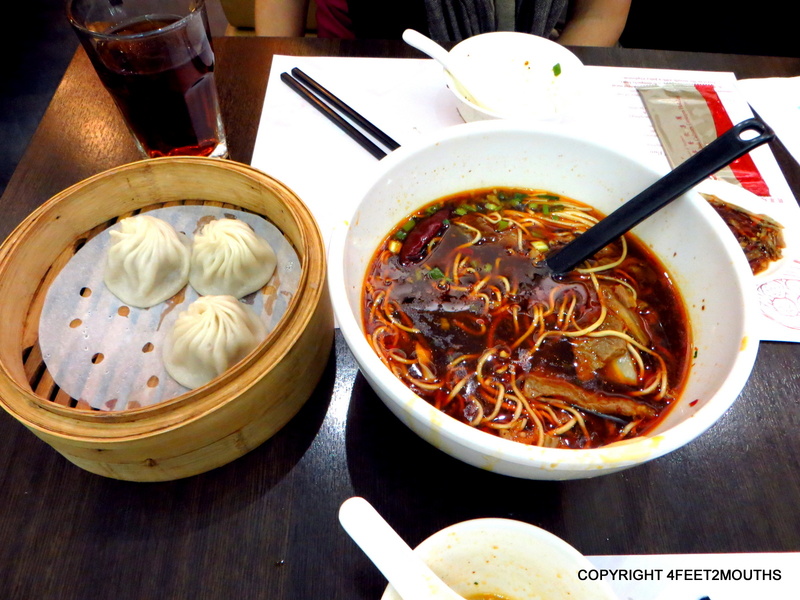 We also ordered some noodles and seasonal greens, but we wished we had ordered one more bamboo basket of xiao long bao. 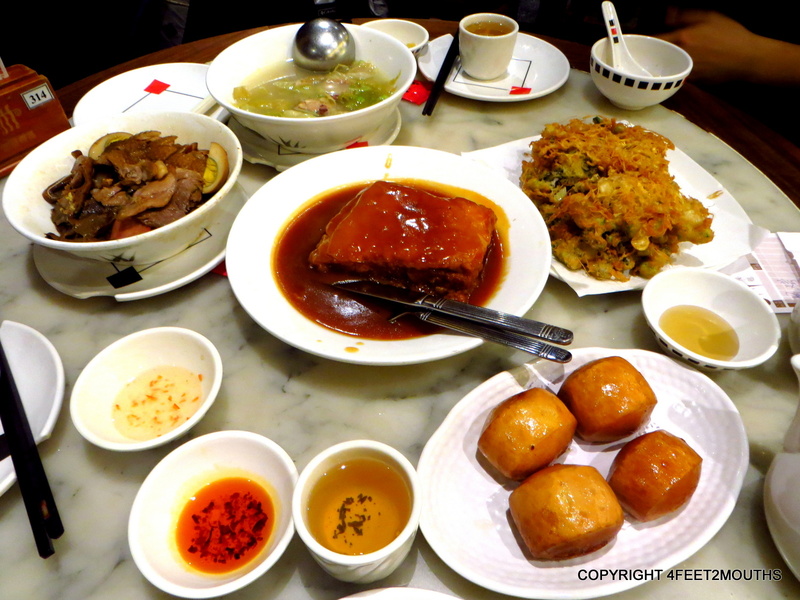 We kept on the theme of awesome restaurants and went to Tim Ho Wan, the most inexpensive Michelin star restaurant in the world! And they sell dim sum! Their prized piece is a baked pineapple bun filled with barbecue pork. 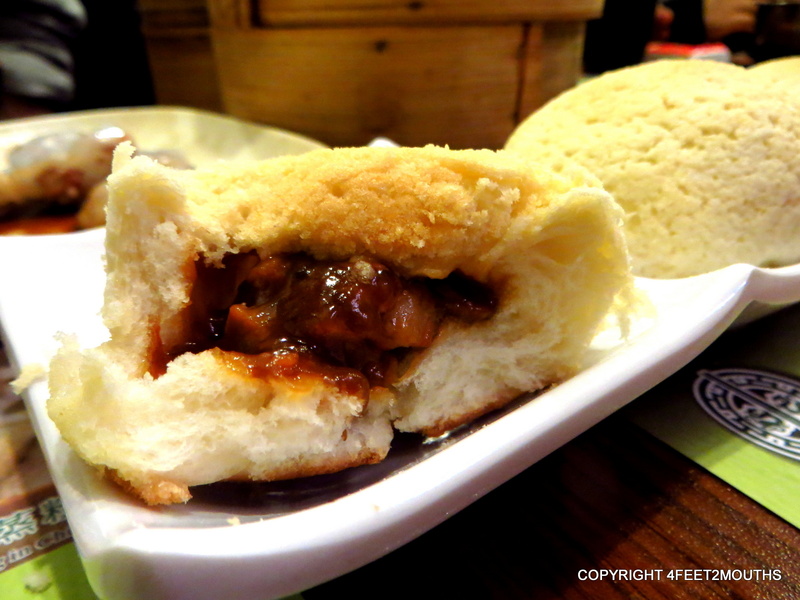 It was amazing, very sweet, but a nice variation off the cha siu bao we usually order. The shrimp dumplings and cheung fun (folded rice noodle sheets) were exceptional. We feasted and stuffed ourselves and waddled our way back onto the street. 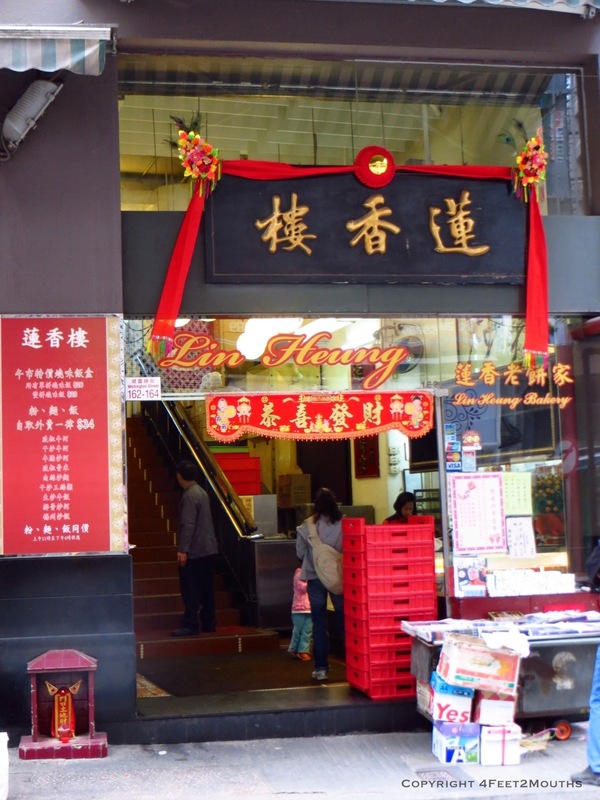 Around the corner from Tim Ho Wan were a handful of stores selling various ancestral offerings. 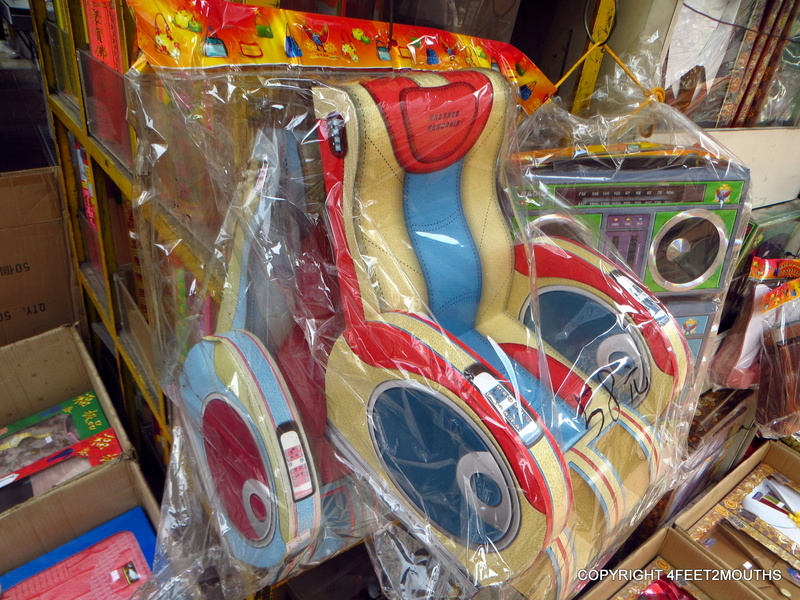 One cardboard miniature massage chair could be bought alongside a whole feast of paper fruits, vegetables and meats. These paper goods are then brought to a relative’s grave and burned. The offerings are to ensure that they have these items in the afterlife! If I was to die tomorrow I would want someone to bring me a Honeymoon Dessert. 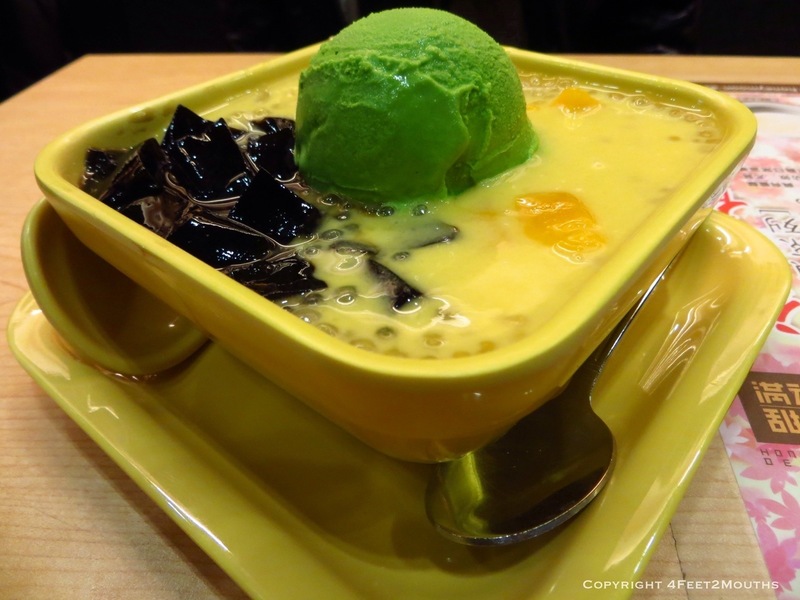 There is something fun about these east/west fusion dessert place. They make sweet soups of various jellies, lychee, longan and tapioca with coconut cream, almond milk or sesame sweet paste. We splurged for some with sliced mango and green tea ice cream for some extra decadence. 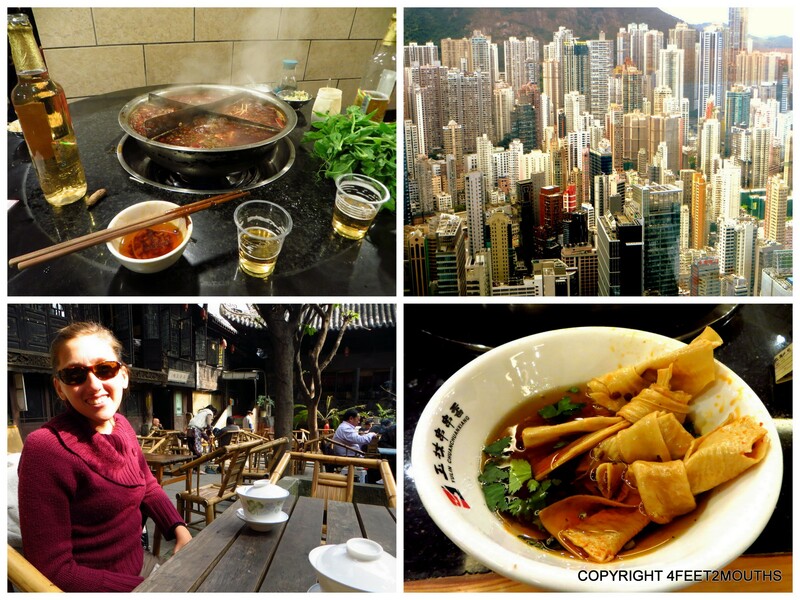 We loved this place a several weeks ago when we were first in Hong Kong, so it was worth visiting again. 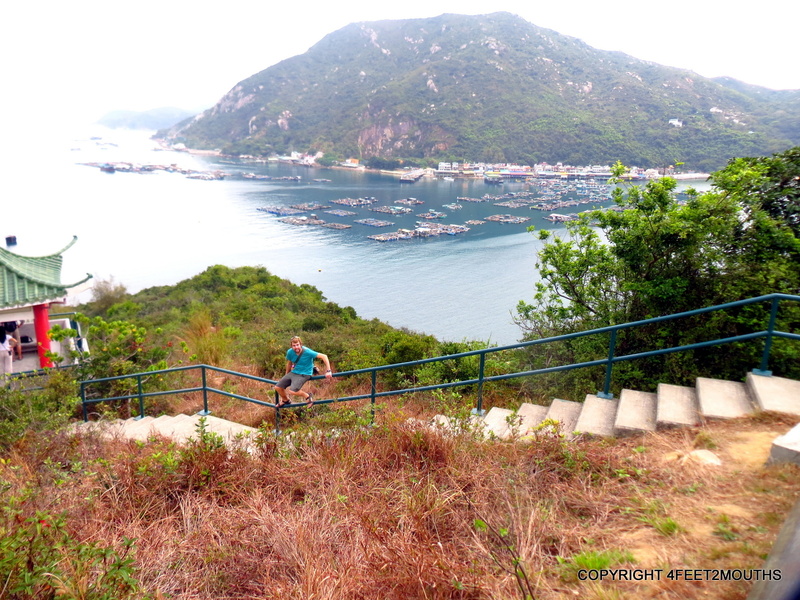 This time in Hong Kong we wanted to see some areas that we had never been. Stanley Market is extremely accessible on a one hour bus ride and seemed to be the perfect place to escape from the high-rises for an afternoon. We sat on the upper story of a double decker bus that bounced up the mountainside; it was like a rollercoaster weaving and diving through the jungle. 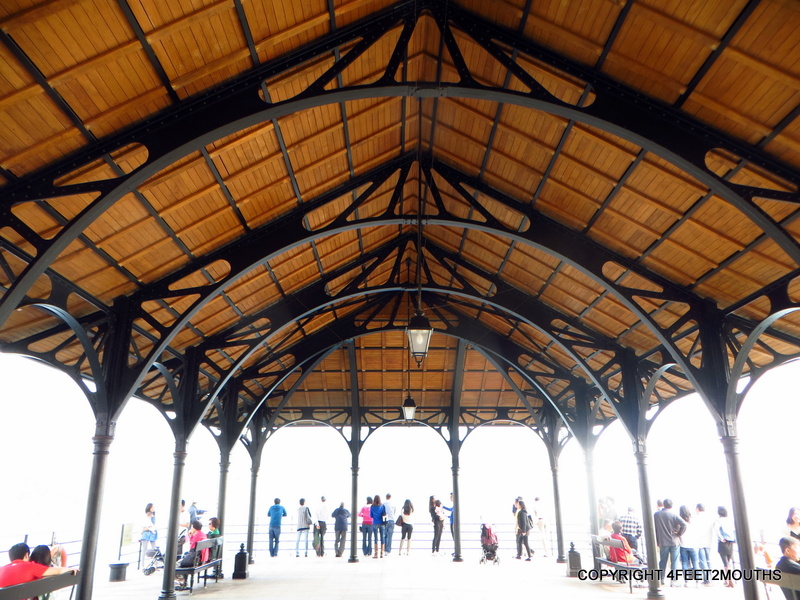 The actual Stanley Market area was very touristy, but the walk along Stanley Beach was very peaceful and the pier had very pretty Victorian wrought iron. 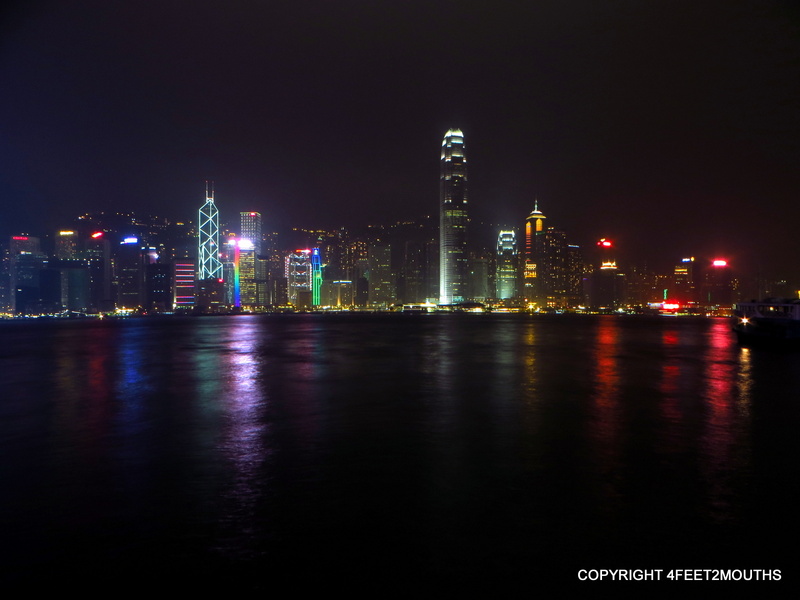 Hong Kong Island’s skyline is beautiful at night. The colors of the ICF tower and Bank of China stand out among the skyscrapers. The mist of the bay added to the ambiance. It is always enjoyable to walk along the avenue of the stars in the day time or at night. There are two tall buildings that allow for visitors into the upper levels. 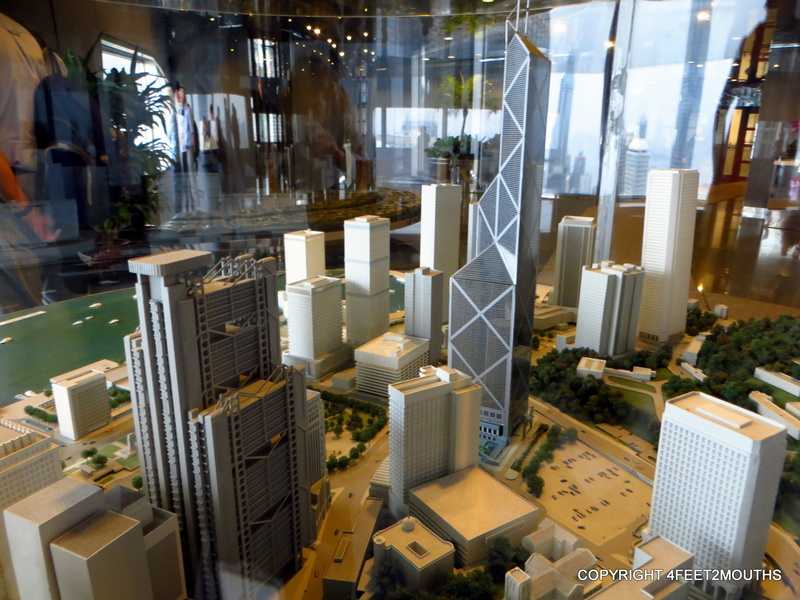 The viewing platform of the Bank of China building looks towards Kowloon and the ICF building has a monetary museum and a wall of glass that looks into the south hillside of Hong Kong Island. I love the sheer number of fifty story buildings stacked on top of one another. Kwu Wan where we ferried back to Hong Kong Island. Just as we got off the ferry we got caught in a rain storm. Not just any sprinkle but a full blown dumping from the heavens. We had little resistance without an umbrella so obviously we wound up extremely wet. We dried off and warmed ourselves with dry and waterproof clothing and we were back off to Kowloon. (Of course, now that we had our rain jackets the rain stopped.) We met with Franco, one of my friends from Cal, for dinner at a restaurant specializing in Chowzhou cuisine from northeast Canton. 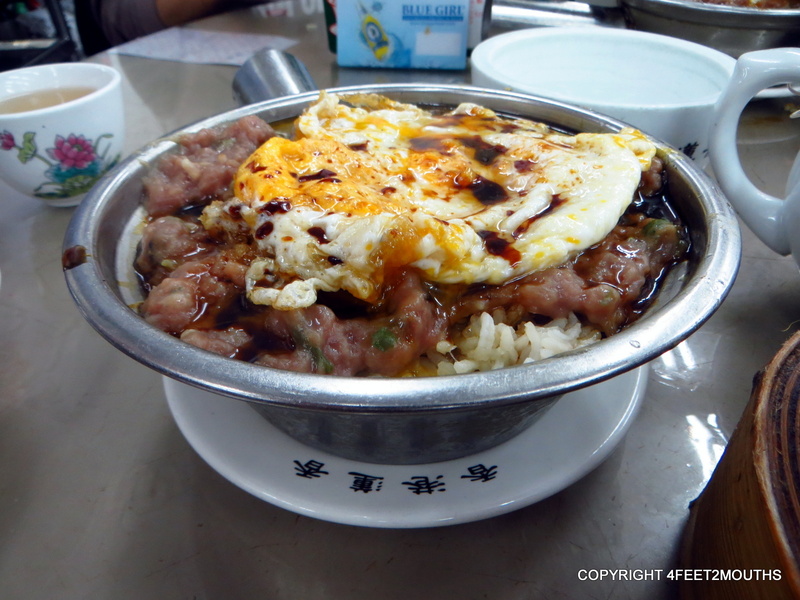 We had sweet glazed pork that was one of the richest things I have ever eaten. We also ordered fried oysters, cabbage soup, roasted duck and donuts with condensed milk. The traditional tiny cups of Chowzhou tea were fun, especially when we learned that subtle nuances of cup holding can turn into a challenge to fight. 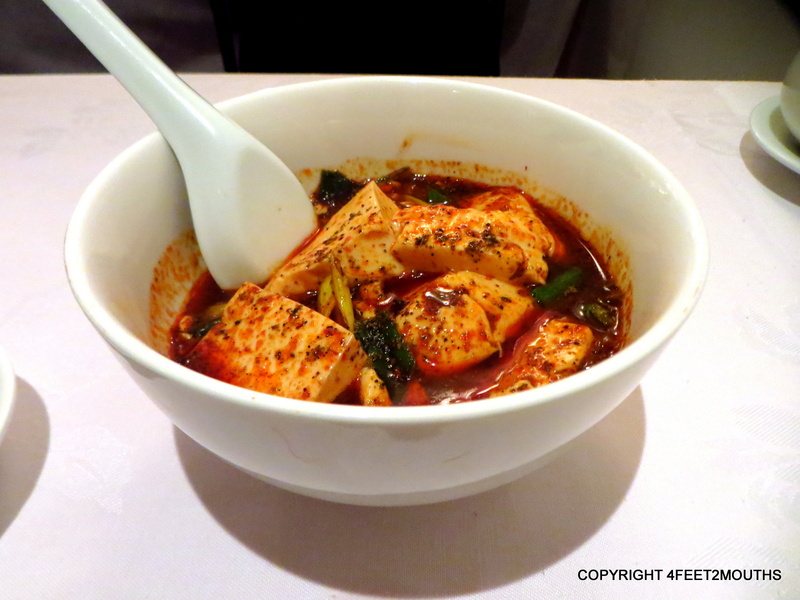 As one of our last meals in Hong Kong we wanted to revisit one of our favorite foods: Sichuan. 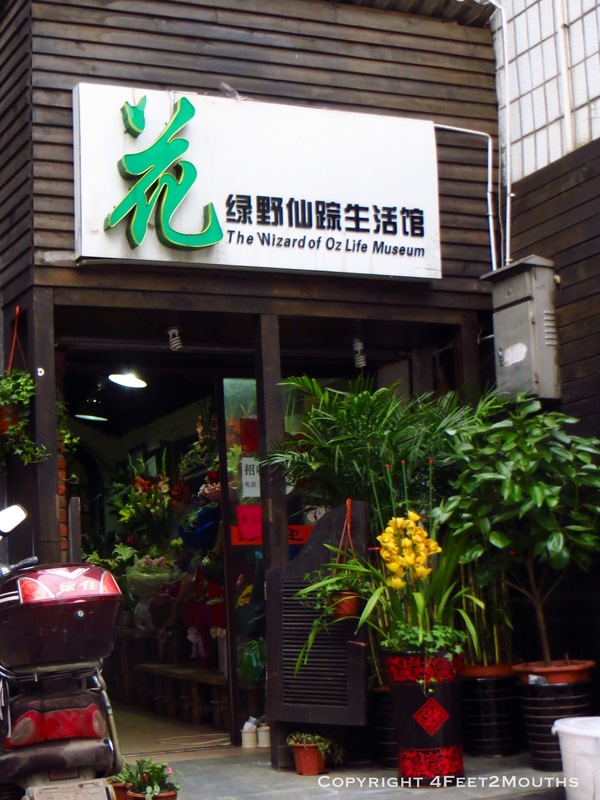 The first time we visited Hong Kong was in 2009 and we saw the description for Da Ping Huo in our guidebook. Under the impression that it was a casual eatery, we made our way to the address in the book. We searched and searched, but we could not find the entrance (turns out it was artistically hidden behind a sculpture at the time). We did find a door in an alley that went through the kitchen. We introduced ourselves to the kitchen staff and we sat down at a table awkwardly. The place was much more upscale than we thought and we were definitely out of place in our shorts, t-shits and sandals. Within minutes the dishes started to arrive and the kind owner did his best to explain each element to us. In the end we had ten courses, each was spicier than the next; our mouth sizzled and tingled with numbness. It was great! We were overstuffed and out-spiced, but we loved every minute of it. The chef (the owner’s wife) even came out at the end of the evening and sang us a Chinese opera. We had to return to Da Ping Huo when we returned to Hong Kong. As all of our readers know, we have been training for this moment for the last year. I have to say that I was scared to try the ten course meal again, it was not the spiciness, but ten dishes is easily two days’ worth of food and I did not want to feel sick on my last day in Hong Kong. We opted for the five course lunch menu, which was absolutely perfect. 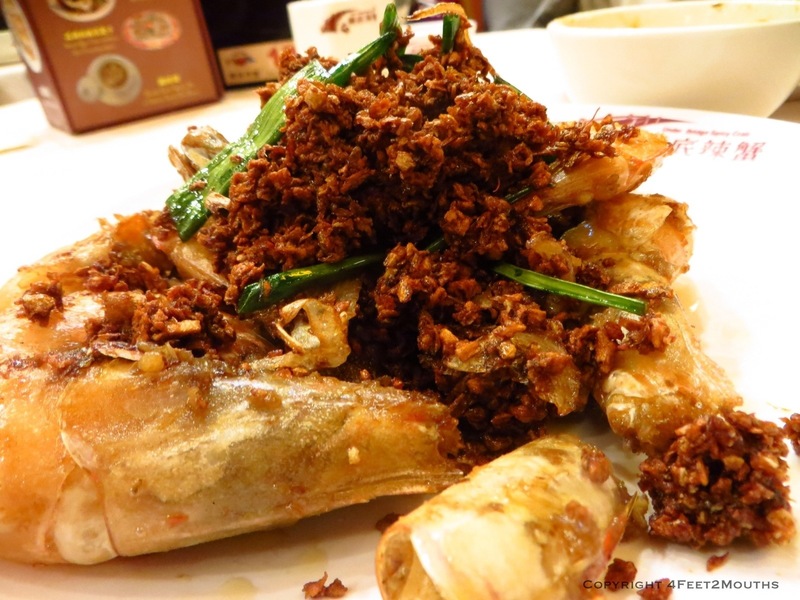 The food at Da Ping Huo is succulent, crispy and absolutely delicious. They came with two classics: ma po dofu and twice-cooked pork (our favorites) as well as a chicken and cabbage soup, stir-fried potatoes and jelly soup for dessert. I love this restaurant and it is essential to anyone’s visit to Hong Kong, especially if you do not make it to Sichuan. 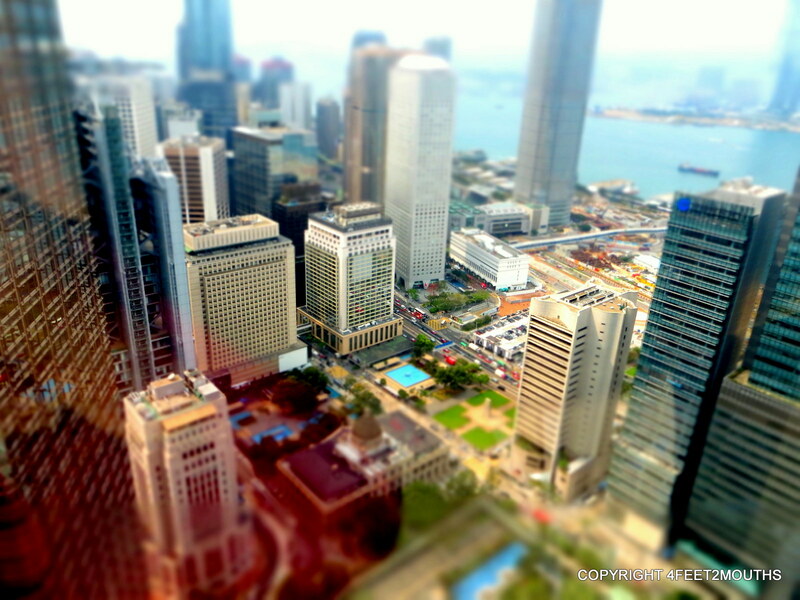 It is the buildings that separate Hong Kong from cities around the world. Few places have a number of skyscrapers that even stand close to Hong Kong. 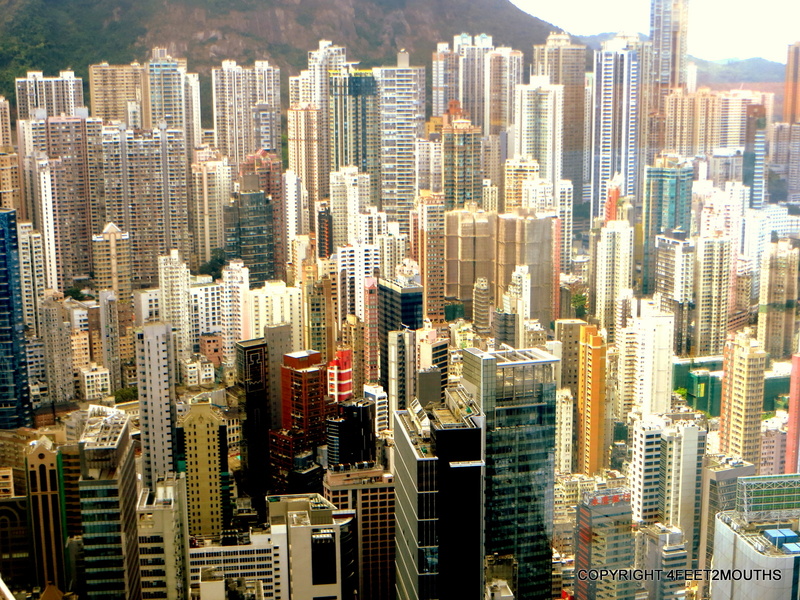 There are places in Kowloon that have 43,000 inhabitants in a square kilometer! I think that it is fantastic that even though some of the tallest buildings in the world stand overhead that there are still street side markets that serve every community. One of my favorites is a series of tiny alleys and streets in Central HK with everything from touristy trinkets to fruits, vegetables and meats. 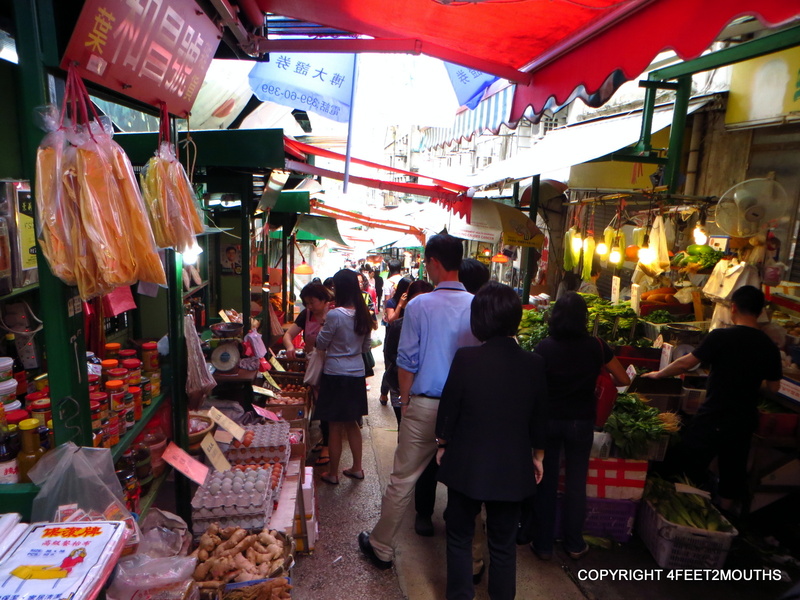 There are a handful of excellent markets around town- jade market is good for real and fake antiques, the woman’s night market in Kowloon offers some good deals and the Temple St Market has about anything and everything for souvenirs. Crystal Jade at the airport! So, how do we pay tribute to a city that we enjoy and love so much? While in Hong Kong, we decided that it would be nice to live here someday. We have begun applying for jobs and hope to begin work this year. This city has all the excitement that we love about the cities, with plenty of hiking available that us accessible by transit. We will also be connected to travel more throughout Asia. Even the HK airport had one of our favorite restaurants- Crystal Jade. 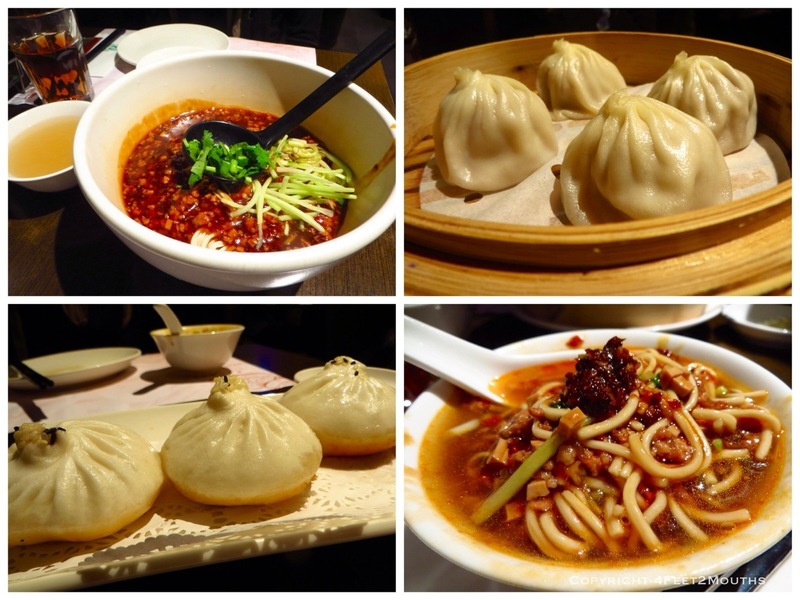 We enjoyed a last meal of soup dumplings and spicy beef noodles. It was bittersweet boarding our plane; on one note we were excited to see our families, but then we were sad to leave Asia and conclude our trip. We know that travel will continue to be a theme of our lives, and Hong Kong will have a place in our hearts. Although this post may be a “finale” to the around-the-world trip there is much more to be discussed on the 4feet2mouths blog. In the next few weeks we will be sharing our summaries of the last seven month trip including our favorite places, experiences and meals. We will begin a series blog posts discussing the planning, transportation and finances necessary to travel the world for fourteen months. Do you want to know how to travel around the world on $50 per day? I believe that most everyone can travel and we’ll show you how. Flying into Hong Kong is such a wonderful and exciting experience. We were both giddy in our seats to return to one of our favorite places on the planet. We were having a great time in China, but Hong Kong is a magic place that brings out the best of East and West. 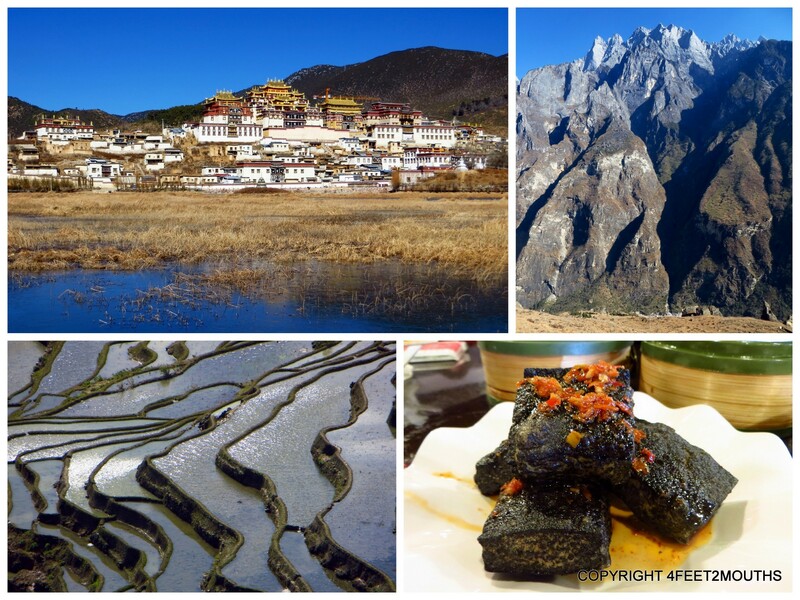 Let’s recap: we explored Yunnan and Southern China for a month then landed in Hong Kong to rejuvenate and refresh our visa. 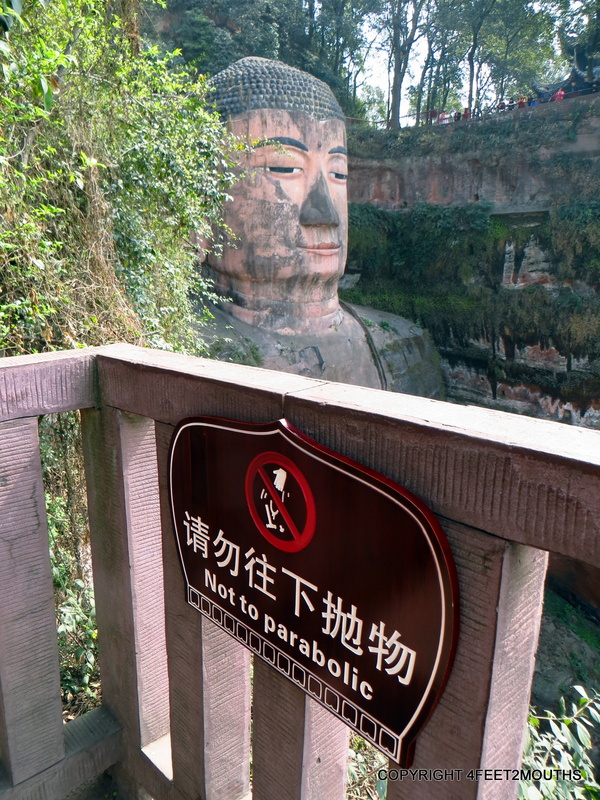 We then when back into China to explore Hunan, Chongqing and Sichuan provinces. 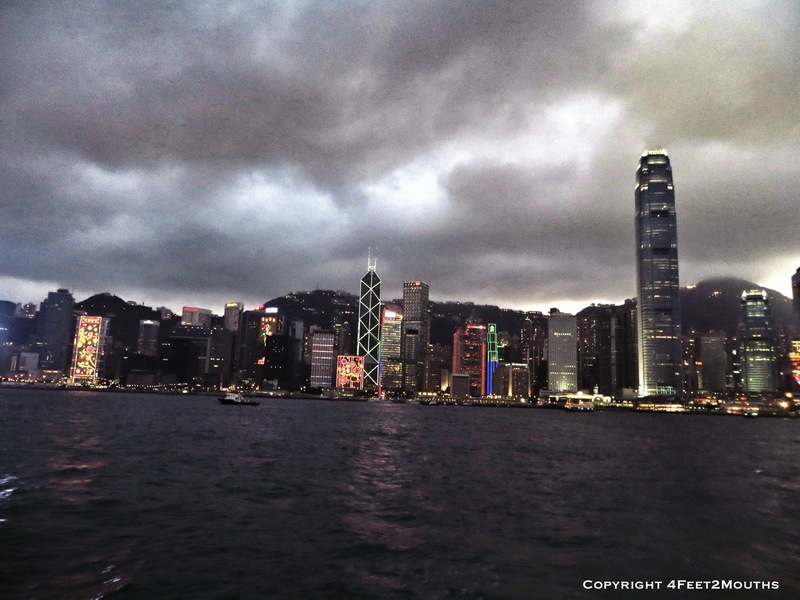 Now, we have returned to Hong Kong as a final hoorah to our around-the-world trip. In Hong Kong, we could continue eating the phenomenal Asian food we love as well as sample restaurants that pull their inspiration from every corner of the world. The subway and transit in Hong Kong is one of the best we have ever experienced and it is especially nice to not have to push our way on as we did in China. Clean bathrooms, English signage and menus and the lack of honking scooters make Hong Kong accessible to everyone. I particularly love the density of Hong Kong; fifty story building tower in every direction. People are everywhere, but Honk Kong does not feel crowded; it feels efficient, welcoming to visitors and entertaining in every direction. 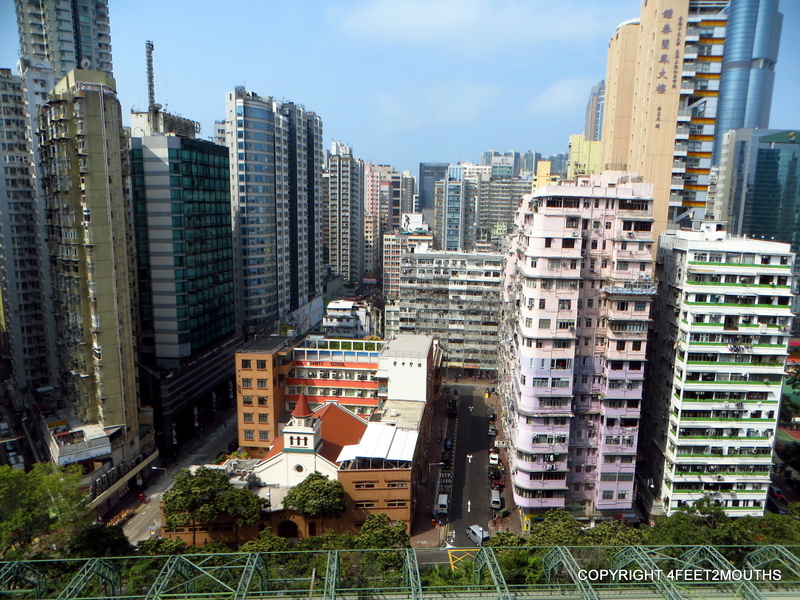 View of Mong Kok from our Kowloon apartment. We rented a small, but well organized apartment for a few days. It was a studio with an efficient layout and plenty of room for two people. We especially liked that one of the panels of the closet could be pushed inward to reveal the bathroom. When the door was closed it was impossible to tell that there was another room beyond the wall of cabinets. The view from the 16th floor was beautiful. We had a great time watching the tiny ants of people scurry around the city streets. Or we watched the groups of teenagers playing basketball. It was a cozy apartment in the middle of Kowloon and a fifteen minute walk in any direction would unveil thousands of restaurants. Thus we had our work cut out for us. We decided to start with some restaurants that we knew. This is our third visit to Hong Kong each time we leave we could not wait to come back. 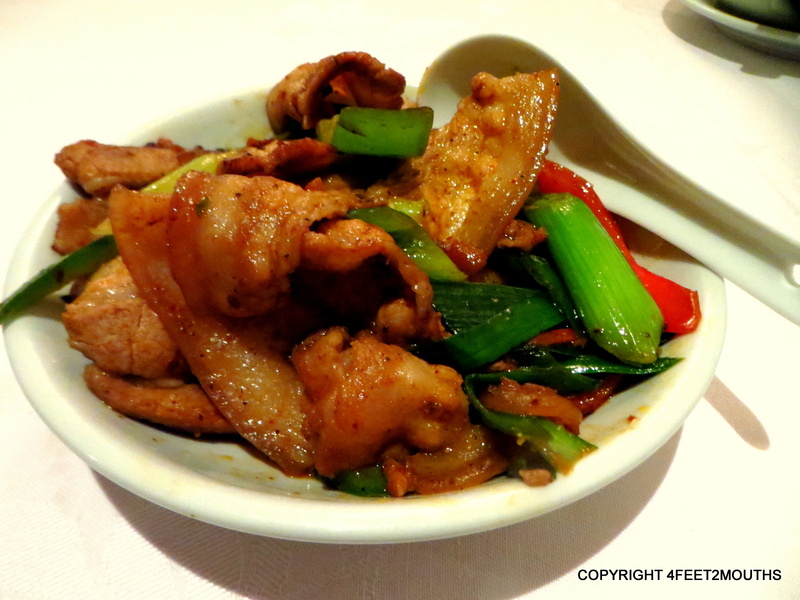 One of our favorite restaurants is Four Seasons Clay Pot. 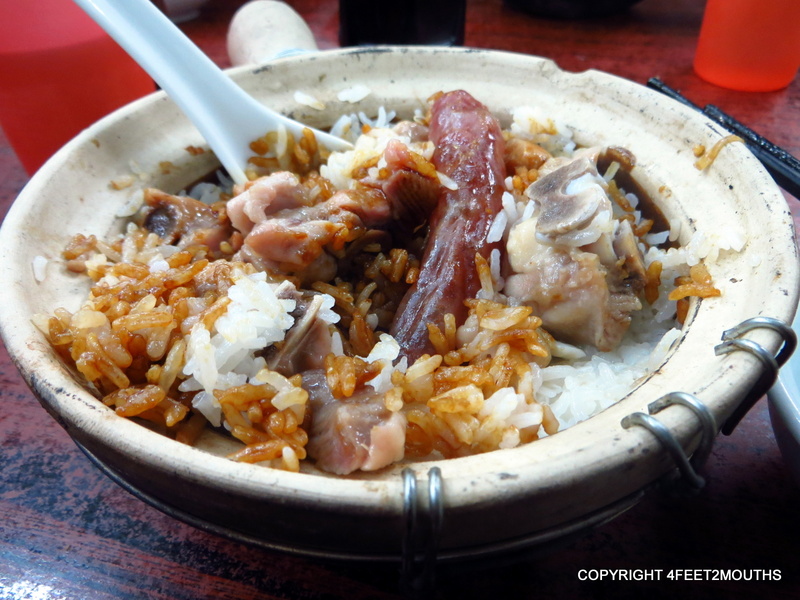 They have a decently sized menu, but the real challenge is what to get in the clay pot; we ordered one with some Chinese sausage and pork and another with duck. They bring the fired clay pot and practically slam it on the table. We opened the lid squirted some soy sauce and hot sauce inside and placed the lid back over the top. We learned that this is a good way to add some moisture to the pot and loosen the outer edges of rice that get crispy and sometimes burned. This is a remarkably simple dish but the thirty person deep line outside is evidence that it is worth the visit. We could not visit Hong Kong without eating at this restaurant. 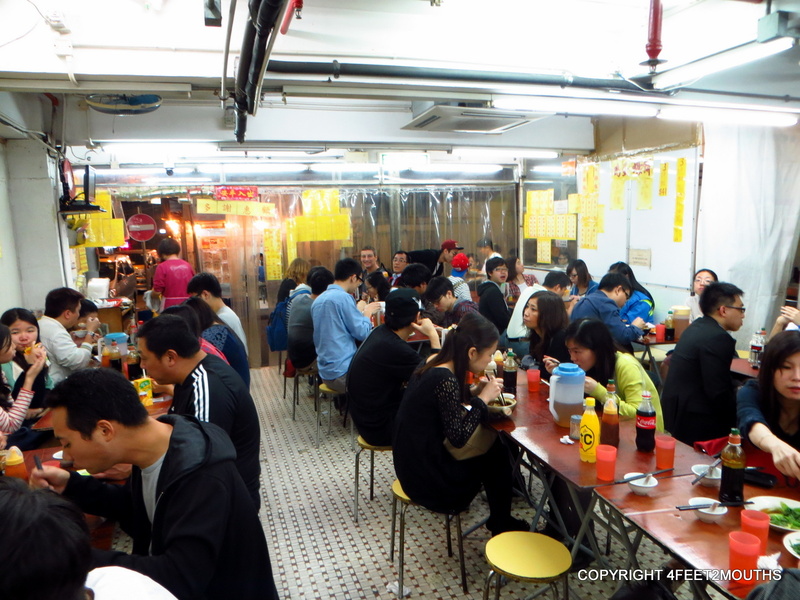 Australia Dairy Company epitomizes the Hong Kong diner by perfecting comfort food. Unfortunately when we were here during spring festival the restaurant closed down from a week, but this time we were not going to miss out. The waiters are a group of hyper attention deficit and gruff men. Within seconds of sitting you down they are hovering over you waiting for your order. The environment is a little crazy at first, but I have learned to really enjoy how methodical and quick this place is. We like a set menu that comes with a macaroni and ham soup that is rich well beyond its looks. The set also comes with toast and scrambled eggs that are so light and fluffy that I have not successfully recreated them. I think they must fold in beaten whites and fluffed butter into the yolks. All this comes with a hot milk tea. We also ordered one of their specialties- a steamed egg custard made from just the whites of the eggs. We enjoyed our massive breakfast tucked into a tiny corner of the restaurant. 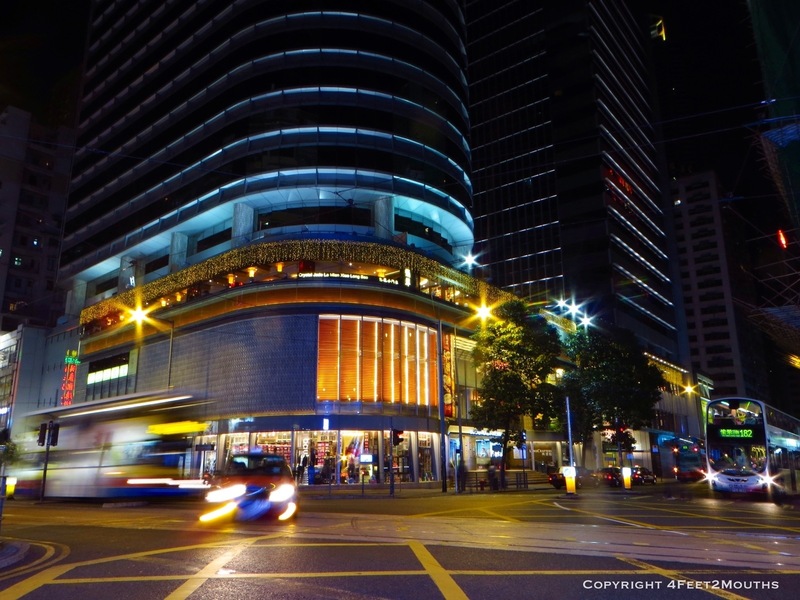 Both the food and the clientele reflected the influence and mix of cultures that makes Hong Kong great. 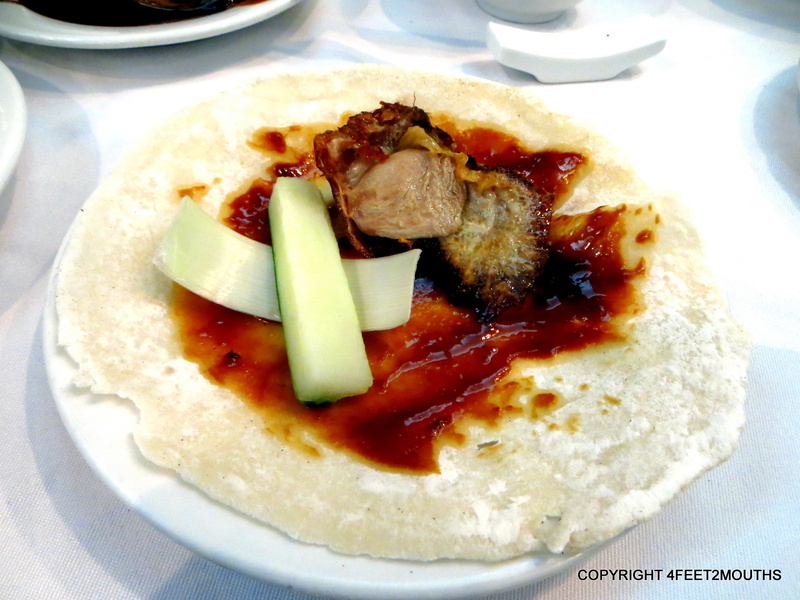 How could we resist making a duck taco? 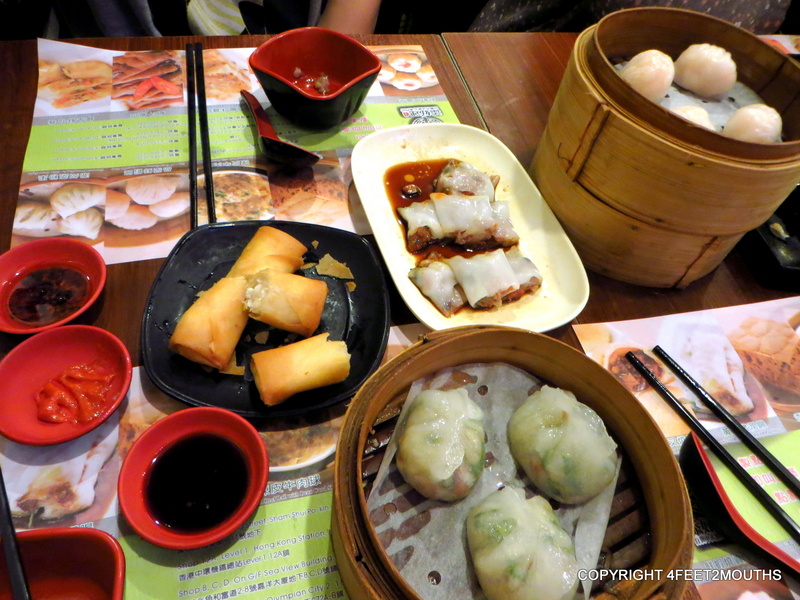 Our last trip to Hong Kong involved one of our favorite dim sum places: Lin Heung. Of course we returned and ordered a feast of dim sum. This was a weekday so it was just slightly calmer than the last time we visited. 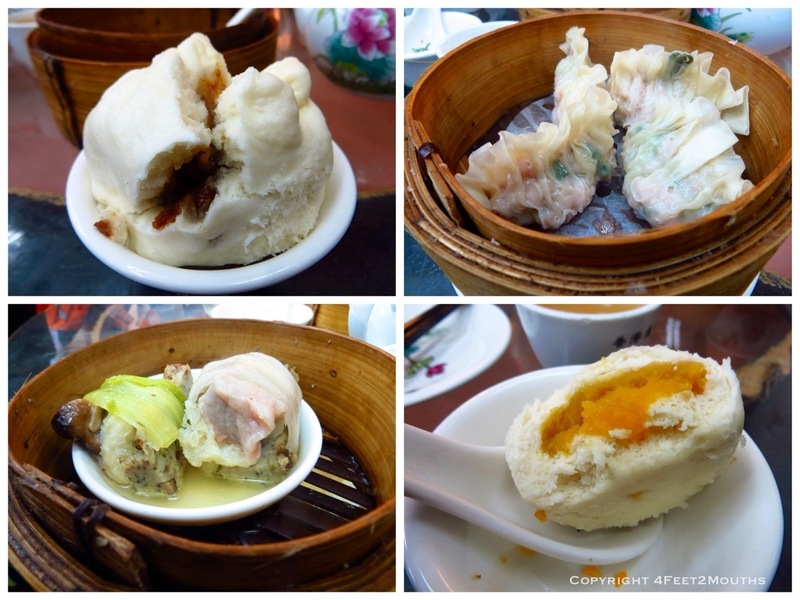 We ordered our usual array of sieu mai, ha gow, cha sieu bao and one additional pork and rice pot. 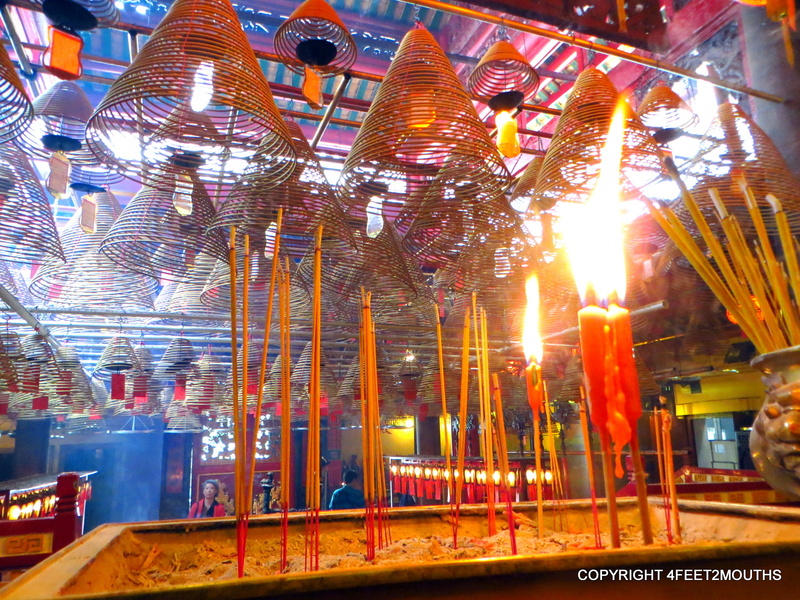 Just up the hill from Lin Heung is a beautiful temple. 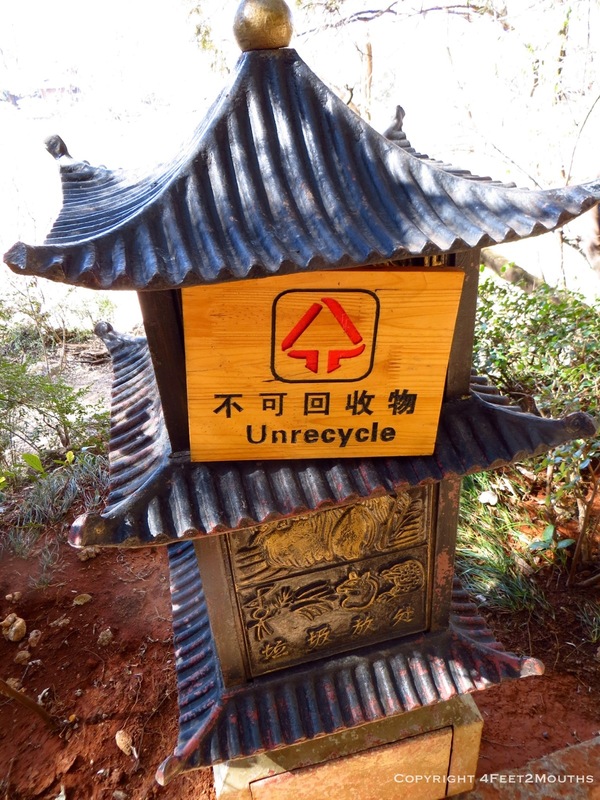 The temple has been here for a couple hundred years and is a nice reminder of the traditional Chinese village that existed on Hong Kong Island before it became a financial headquarters to the world. It was the Portuguese that invented the egg custard tart. A convent in Lisbon had a habit using enormous amounts of egg whites to starch their habits. They searched for some use of their overabundance of egg yolks and egg custard tarts were born. 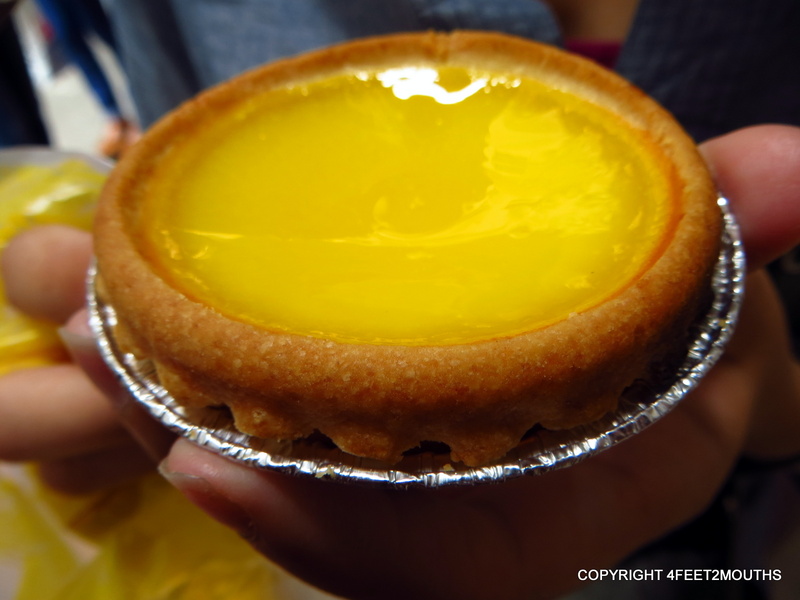 When the Portuguese created colonies around the world, they brought custard tarts with them and slowly the dessert made its way into Cantonese cuisine. 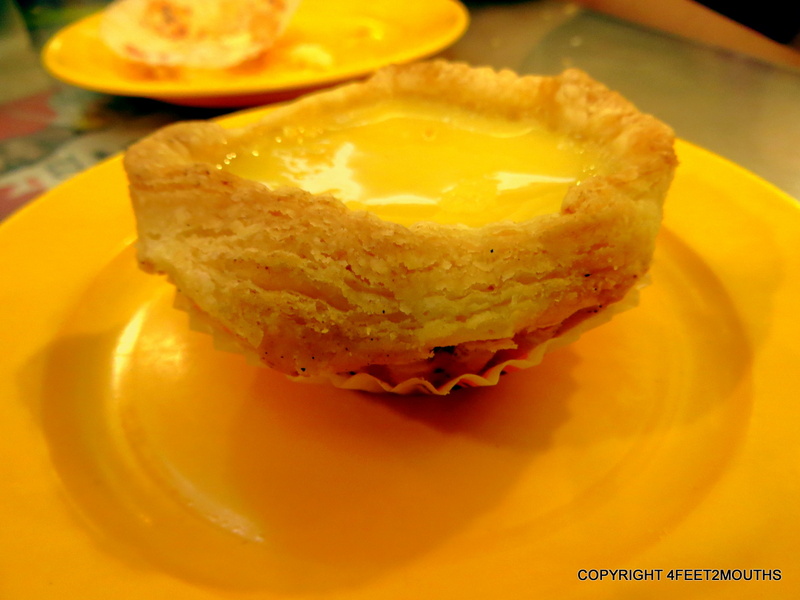 Now egg custard tarts are served throughout the world in dim sum restaurants and bakeries. The tarts we ate in Lisbon were heavenly, but Hong Kong can create a few that are truly decadent. There is actually an ongoing competition for the bakery that can make the best egg tart in Hong Kong. We decided to try out two of them: Honolulu bakery, known for the best flakey crust and Tai Cheong, known for the best short bread crust. Both tarts were phenomenal. I liked the run-down diner feel of Honolulu bakery, but in terms of flavor I am a sucker for the buttery crunch of shortbread. All in all, we ate quite a few egg tarts, but neither Carmen nor I could declare a true winner between these two. After a few days in a rented apartment we decided to save some money and meet some new people. 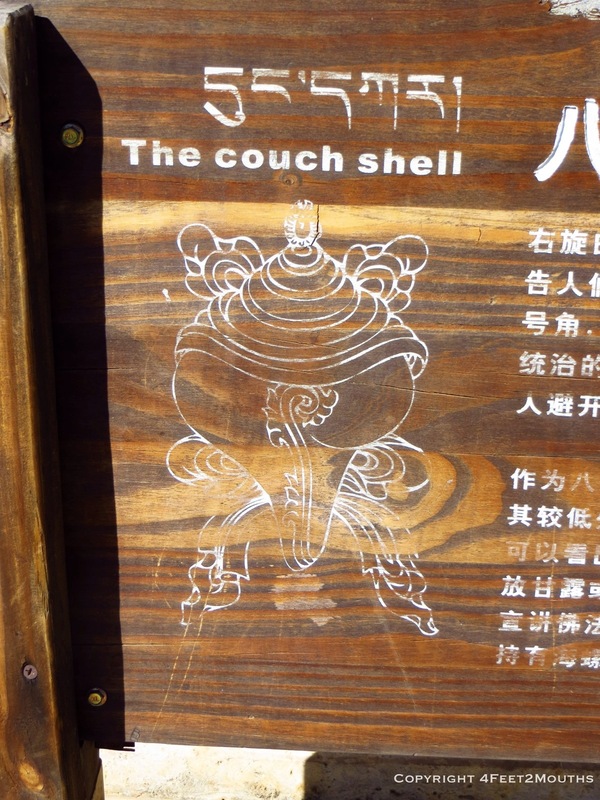 We moved down the street to couchsurf with a new friend of ours. He lived in a Korean neighborhood in Kowloon. There were at least fifty Korean restaurants within two blocks of each other. 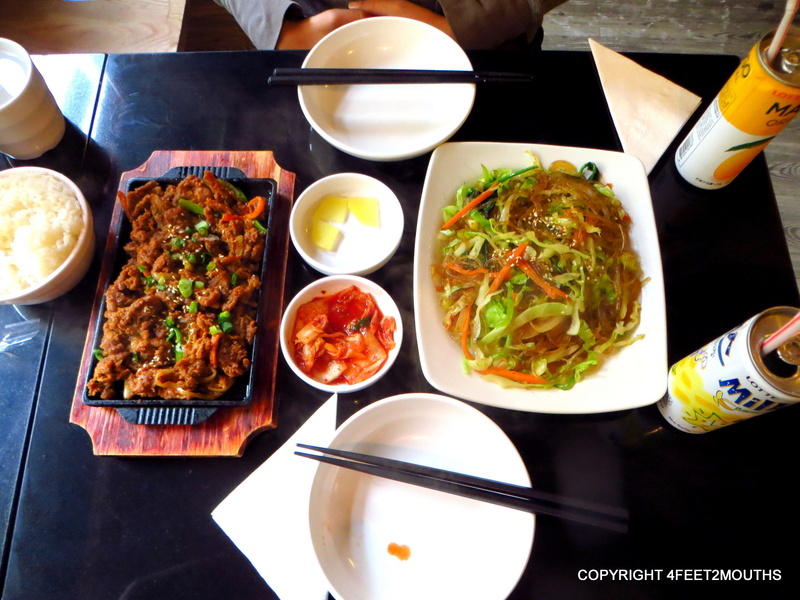 We ate kimchi pancakes, bimbibop, bulgogi and sweet potato noodles. I love how in Korean restaurants they serve the set of tiny dishes filled with pickles, kimchi, radishes and daikon. 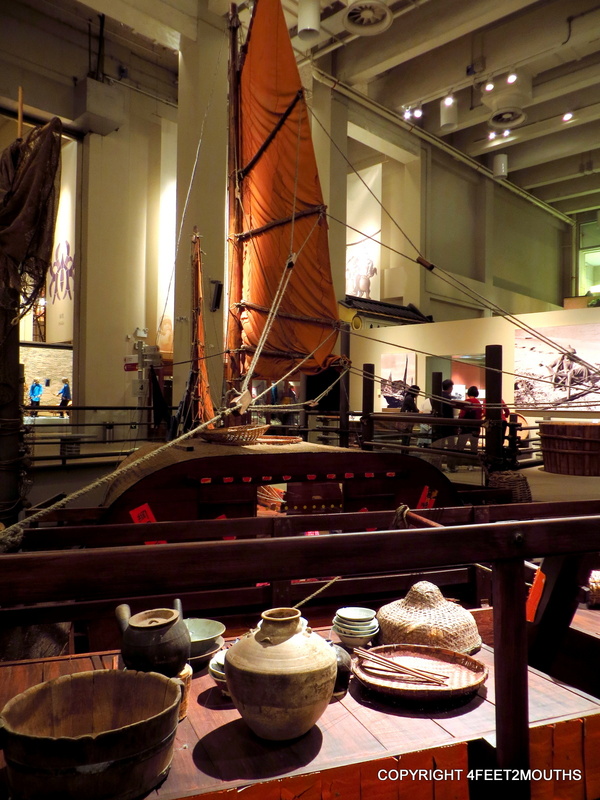 The Honk Kong history museum is one of the best museums we have ever been too. It has this amazing layout that teaches the geological origins of the city through its present day modernization. There is a cultural aspect of the tribes that first settled it and the traditional festivals that still continue. 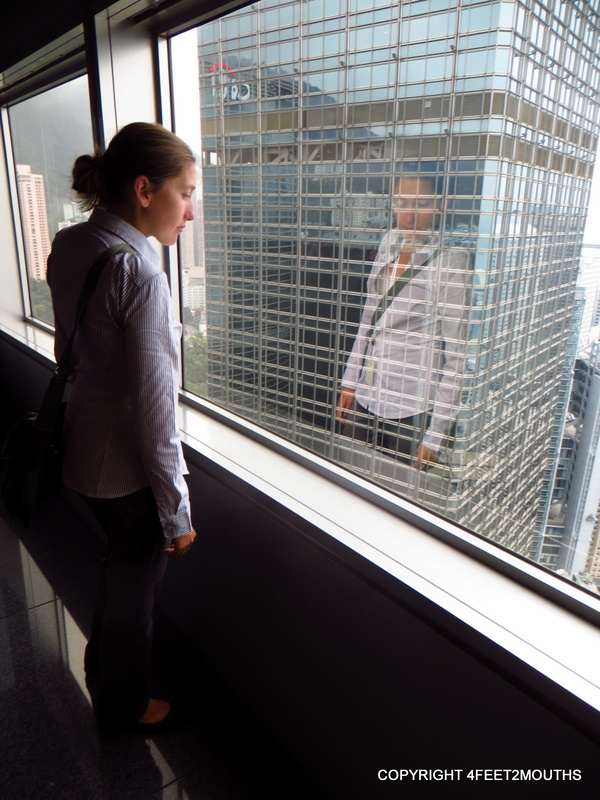 Both Carmen and I love learning about a city, its origins and its development and learning about Hong Kong, one of our favorite cities, was just icing on the cake. A challenge with Hong Kong, for us, is that there is just too much to do. There are fantastic museums, exciting harbor walks, island boat ferries, high-rise mazes and exorbitant amounts of food to eat and try. I love Hong Kong, it’s big and beautiful and everything I enjoy about the city. We conquered most of our favorite places, but now it was time to see some new things. Of course, that will have to wait until our next post. Hong Kong was the first stop on our Asia trip in 2009 and we absolutely loved it. When people asked what our favorite city of the trip had been, the answer was obvious. From our first dim sum bite, the city enchanted us. With the sky high architecture, and we were awestruck. But just around the corner, amid all the modernity, we would find an old school market that would bring us back down to earth. I always said I could easily live in Hong Kong. And yet, over time I began to feel a little jaded. Perhaps my memory of Hong Kong was colored by the fact that it was my first time outside the western world. Maybe as a more seasoned traveler, my second visit to Hong Kong would reveal that it was actually too congested or too westernized or too sanitized or just not to my liking anymore. That I had put it on a pedestal that it wasn’t really worthy of. Hong Kong, how could I have ever doubted you? You are everything I remembered and more. We needed some food fast when we got off the train and within our first block walking we were drawn to a dumpling restaurant. Backpacks and all, we squeezed our way in for some boiled kim chi dumplings. We also sampled some fried pork, leek and yellow curry varieties. They were simple, fast, great. Wow, HK. You had me at hello. 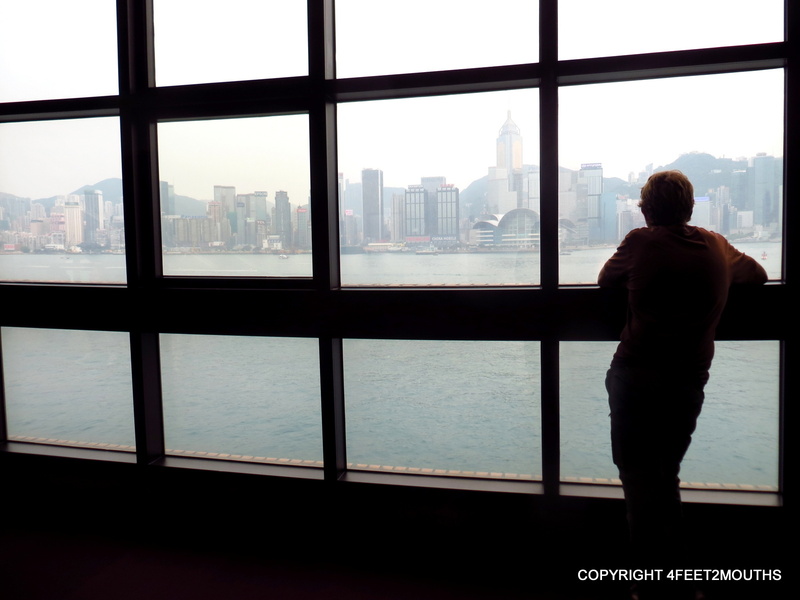 Our visit to HK was partially dictated by our need to reset our China visa. Because, really, this isn’t the best time to see the city. For one, the new year week is expensive as Chinese tourists flood the city. At the same time, all offices and many family owned shops and restaurants are closed. It’s a strange time. We decided to make use of our visit here to take full advantage of the fast, uncensored internet. Oh my god! It felt like I was re-entering the modern world. I didn’t realize how much I had missed posting on the blog, reading other blogs, reading BBC news, all my Google calendars, docs, etc. This excitement was compounded by what I saw on the street – Belgian beer bars, restaurants decorated with colors other than red and gold – it was exhilarating. Yes, some of these factors are simply the western influence on the city. Hong Kong is not considered “true” China. All I know is that the city made me feel free. There was one benefit of visiting during the new year – fireworks. Nathan and I saw the best fireworks show of our lives! It was even better than Nathan’s previous best at Mariachi USA :) They were plentiful, beautiful and well timed. All of it, of course, with the backdrop of HK Island skyscrapers. 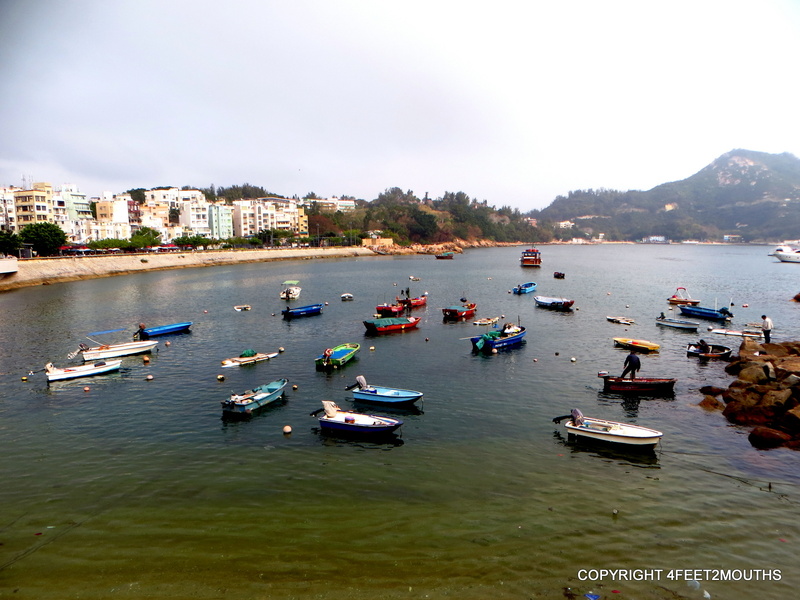 There is so much to see in HK but this trip was not for sightseeing. We had a lot of work to do – blogging, wedding planning, trip planning all takes time. The slow internet in China wasn’t cutting it for us so things had piled up again. After a long day at the hostel computer we asked the receptionist for a restaurant recommendation. He directed us to a place just a couple blocks away. Nathan was skeptical, thinking that the rec. was based more on proximity than good quality. But he need not have worried. Crystal Jade, on the third floor of a mall, was delicious. 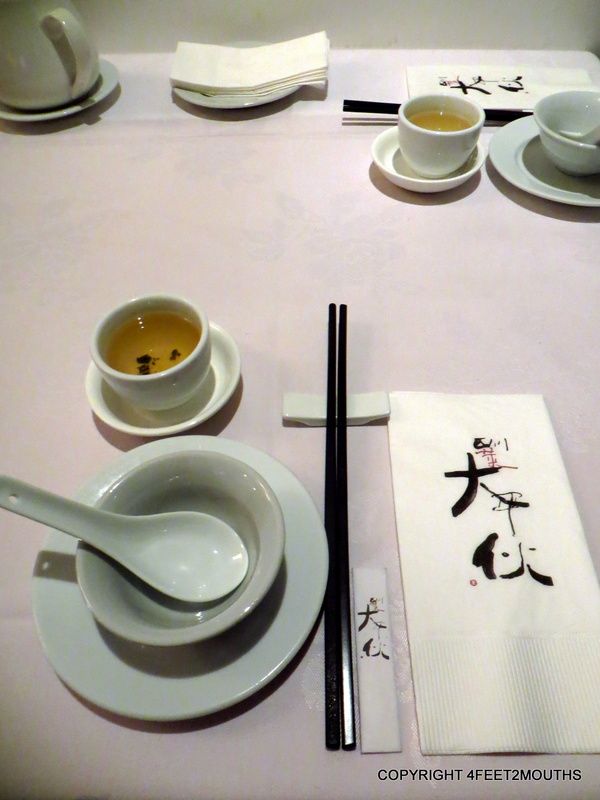 We were seated right away, our tea cups were kept full and the Shanghai cuisine was delightful. Of course we had to eat the xiao long bao (soup dumplings) which are steamed pork dumplings with warm broth sealed inside. We complimented these with more pork in a sweet dough wrap. Then the noodles, with a thick savory sauce that we could thin to our liking with broth. Fortunately, we saved room for dessert. Also near our hostel, we had noticed this place because of the crowds. It was a tiny dessert cafe called Honeymoon Desserts. 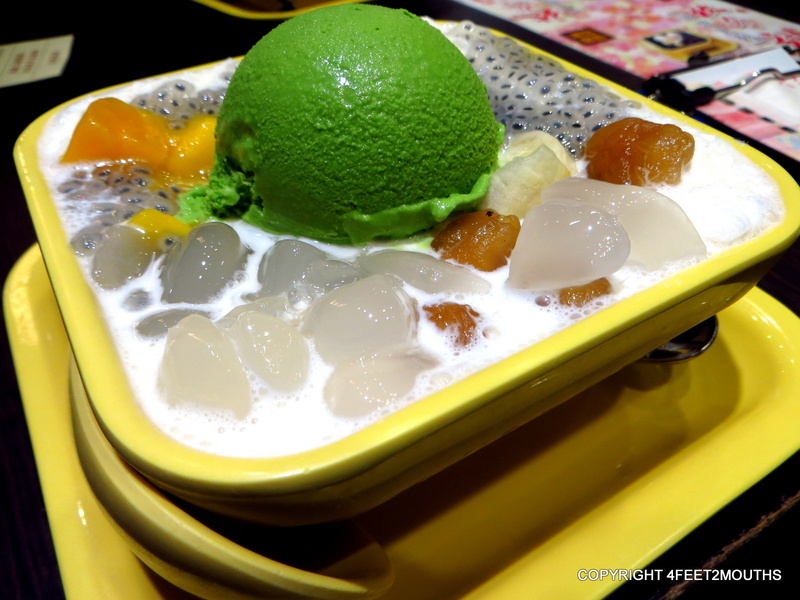 I opted for mango, pomelo, grass jelly and tapioca balls in a sweet soup topped with a scoop of green tea ice cream. Yum! Nathan had a warm walnut and black sesame soup. Inside hid a few glutinous rice balls filled with ground peanuts. Impressive stuff. To start off another “work” day we went to one of our favorite places in Hong Kong. Lin Heung is the real deal. 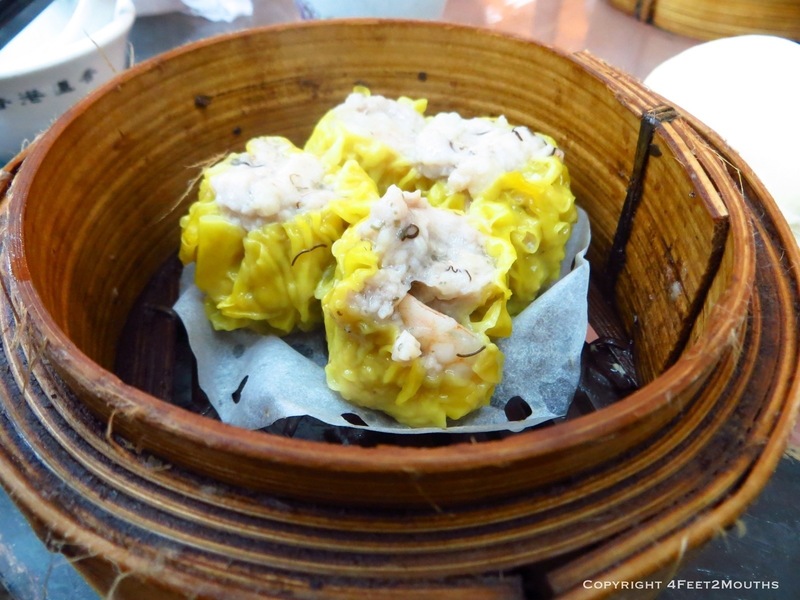 A little grungy, slightly grumpy service and excellent dim sum. On our first visit in 2009, it was a summer weekday. Old regulars were hanging out, reading the paper, as carts were pushed by. In that same trip we visited again on a weekend. The place was transformed into a madhouse of people pushing for dim sum. The carts barely made it out of the kitchen before being stripped bare. On this visit, things were pretty crazy again. The pushing was even more aggressive than I remember. Perhaps because there were more mainland Chinese holidaymakers? Not sure. The dim sum was predictably good but I am excited to visit again when it’s calm. The dim sum held us over until dinner, when we were ready to feast again. Again near our hostel, we went to Under Bridge Spicy Crab Restaurant. As we waited for our table we looked longingly at the crab covered in crispy fried garlic. That is, until we saw the price. A crab for two for $60 (USD). Must have been inflated for the holidays. We instead switched our sights to garlic crusted shrimp which turned out to be an excellent substitute. 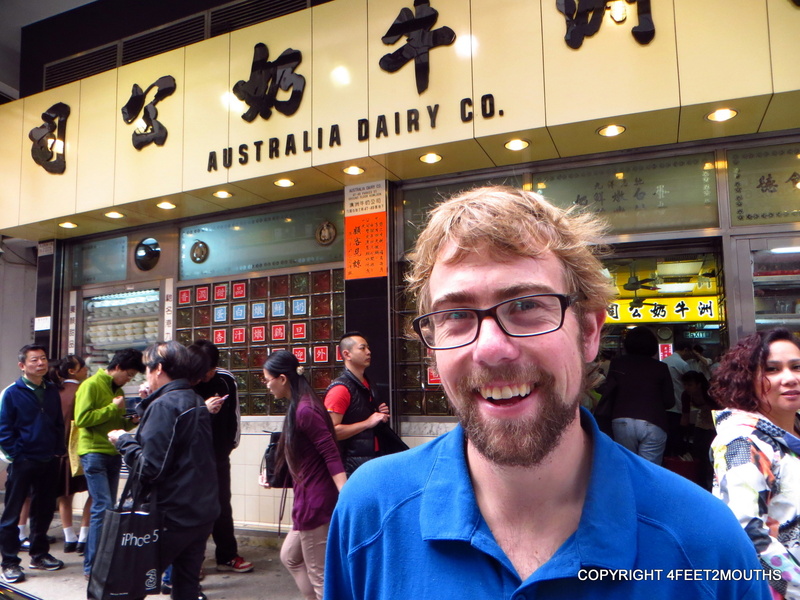 Another one of our fave HK eateries is Australia Dairy Company which is unfortunately closed for the time we are here. 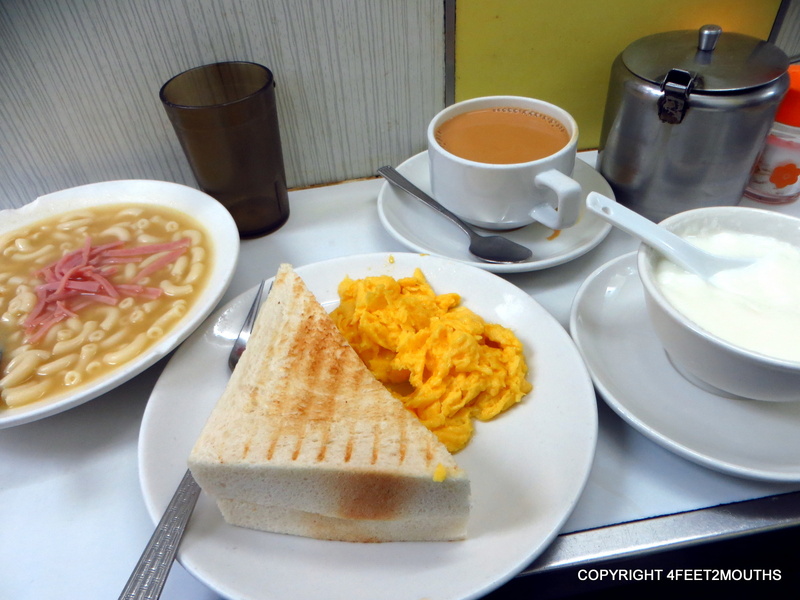 It is an institution serving amazing fried eggs, toast, coffee, macaroni soup. Yes, doesn’t sound too exciting but there is magic in the way they make it here. 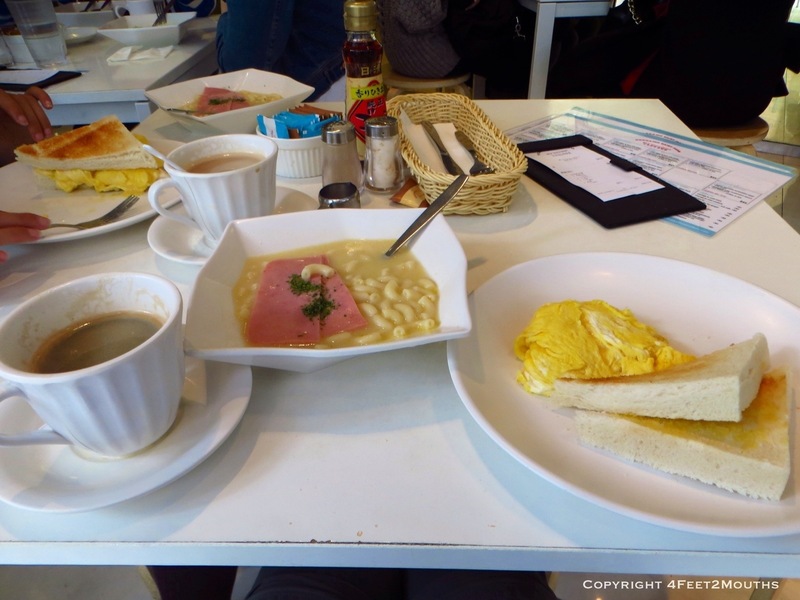 To get our fix, we went to Hokkaido Milk Restaurant instead. We didn’t have high expectations but were pleasantly surprised! The eggs were perfectly cooked, still slightly runny in the center, the toast was well buttered, and the macaroni soup deceivingly rich. Made me very happy. I could have spent more time in HK, but instead that would have to wait until the end of the trip, after the holidays were over. 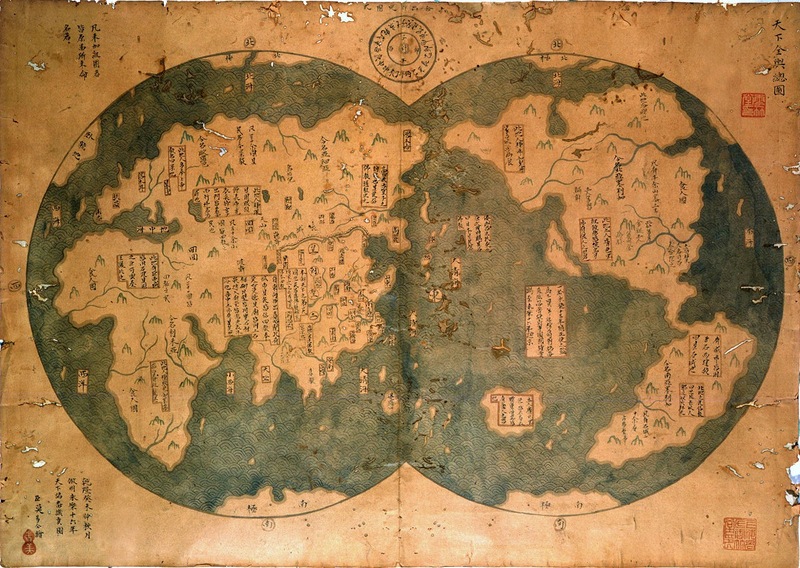 Therefore, we prepared ourselves to re-enter the wilds of China. 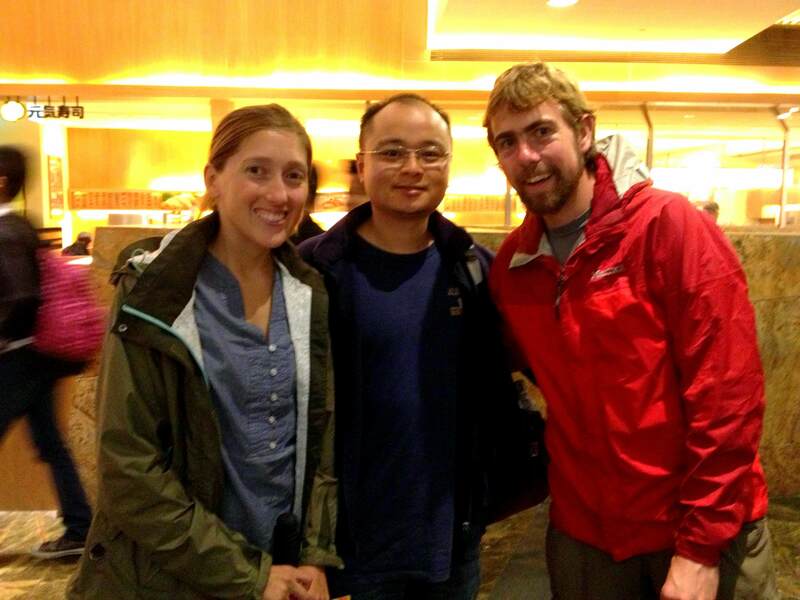 Watch out, Hunan, Chongqing and Sichuan here we come!